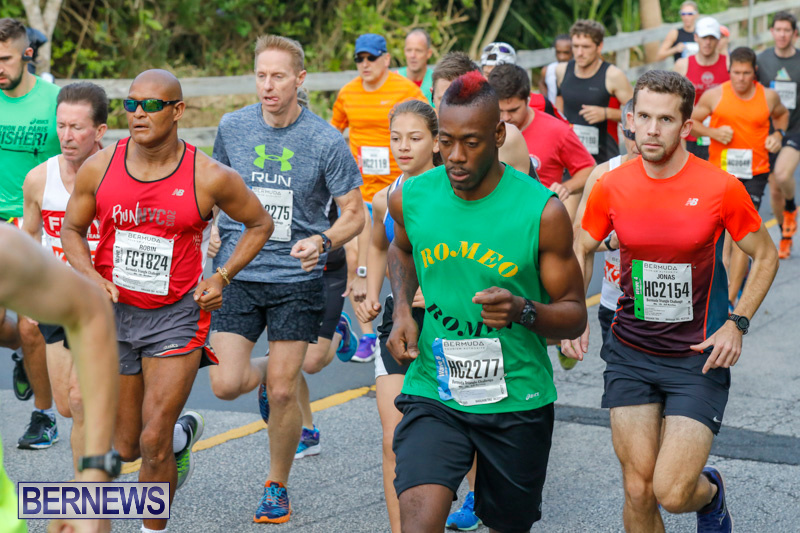 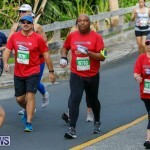 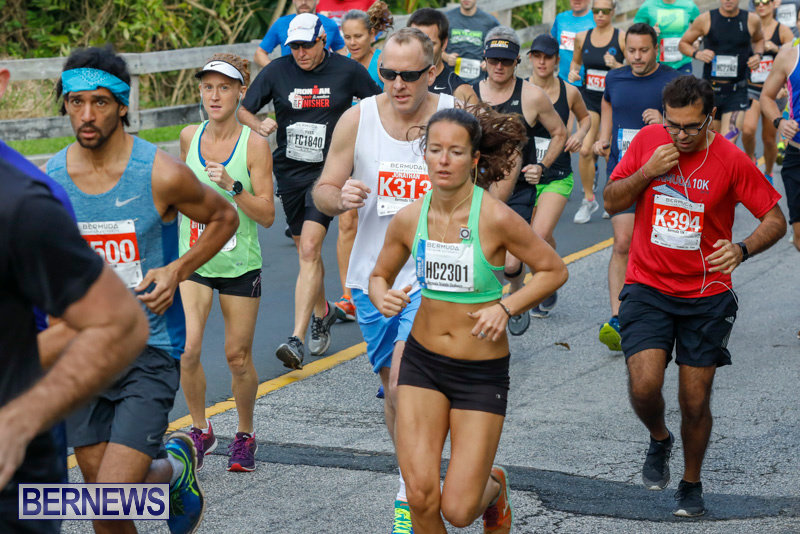 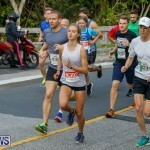 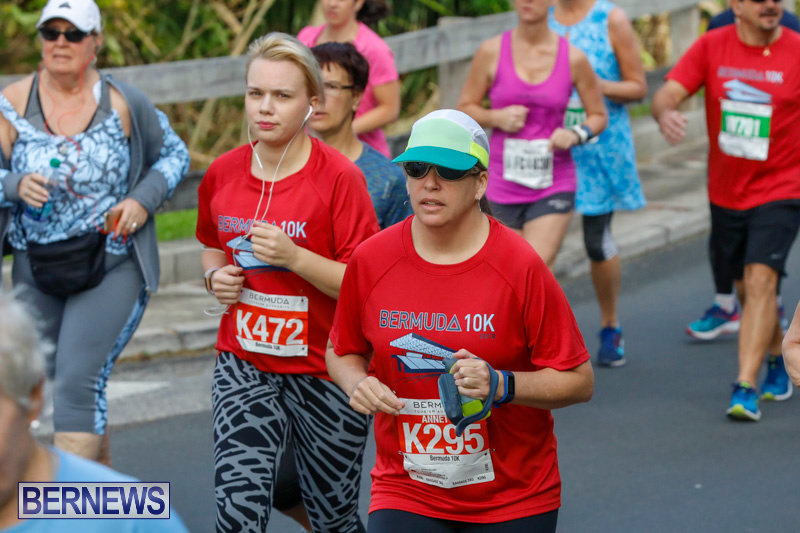 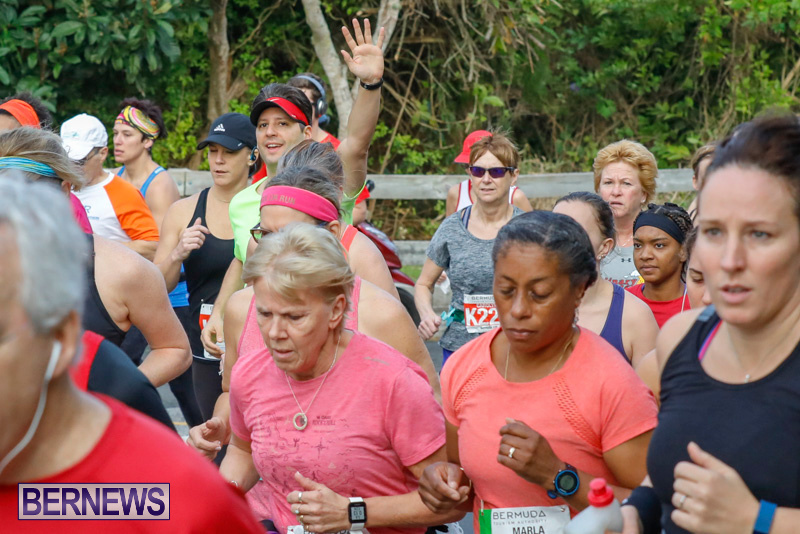 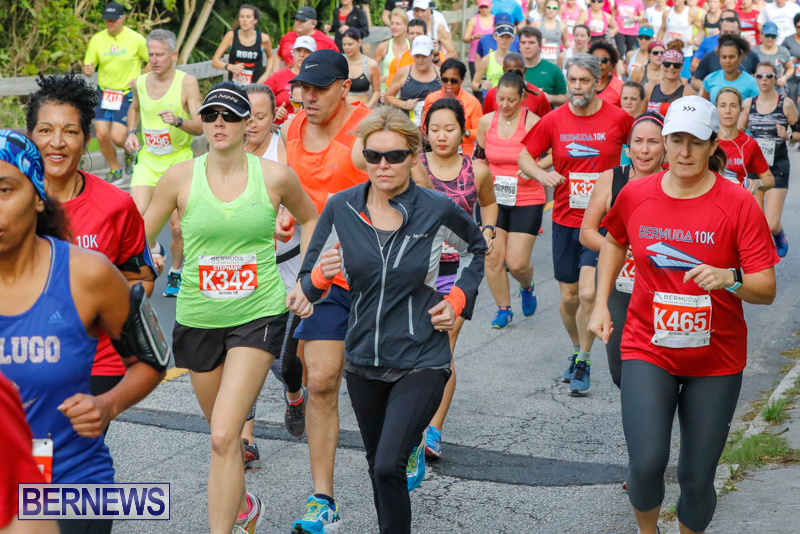 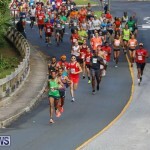 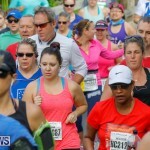 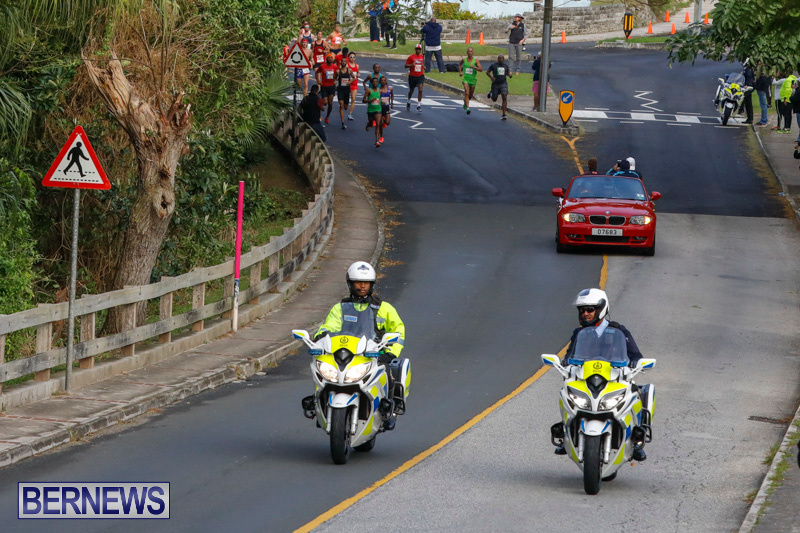 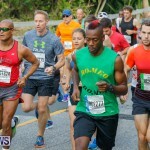 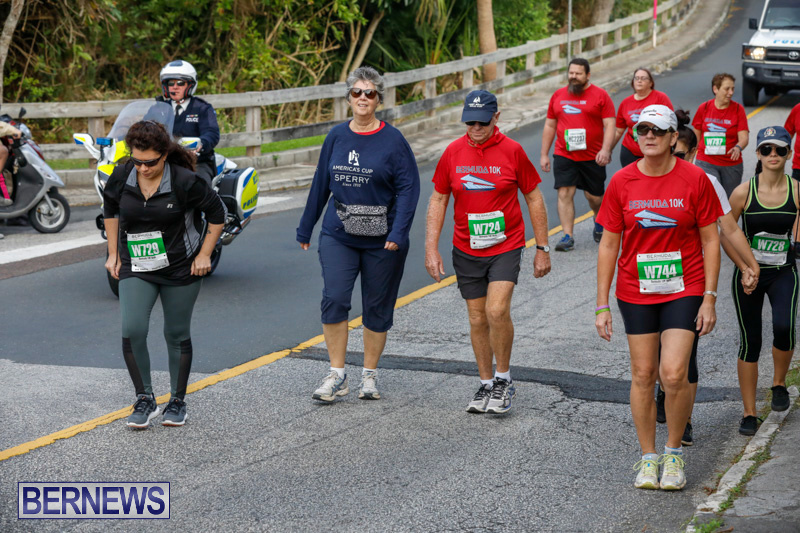 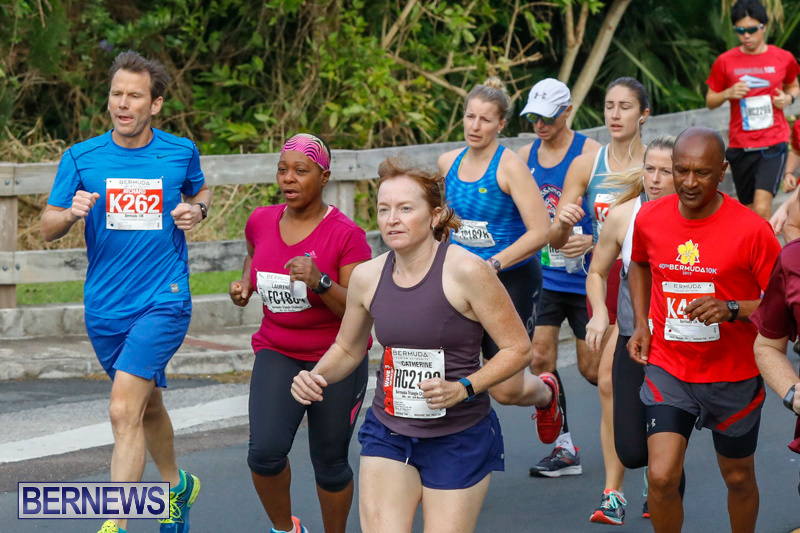 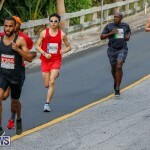 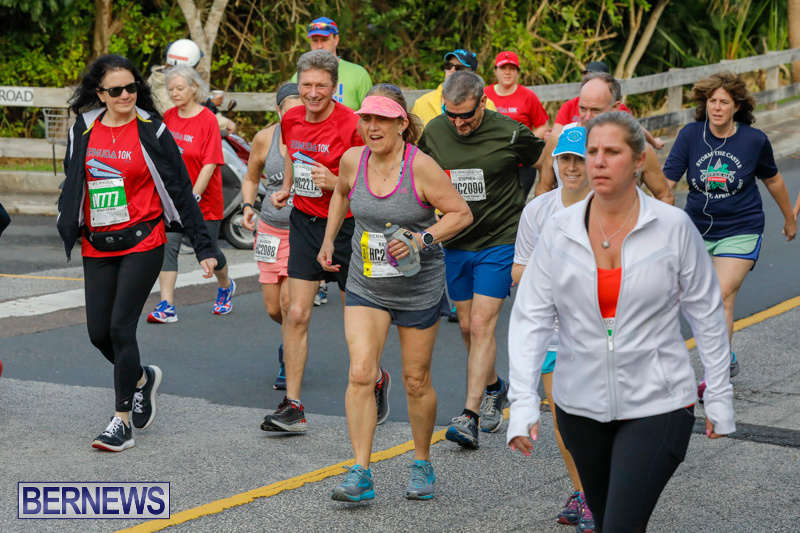 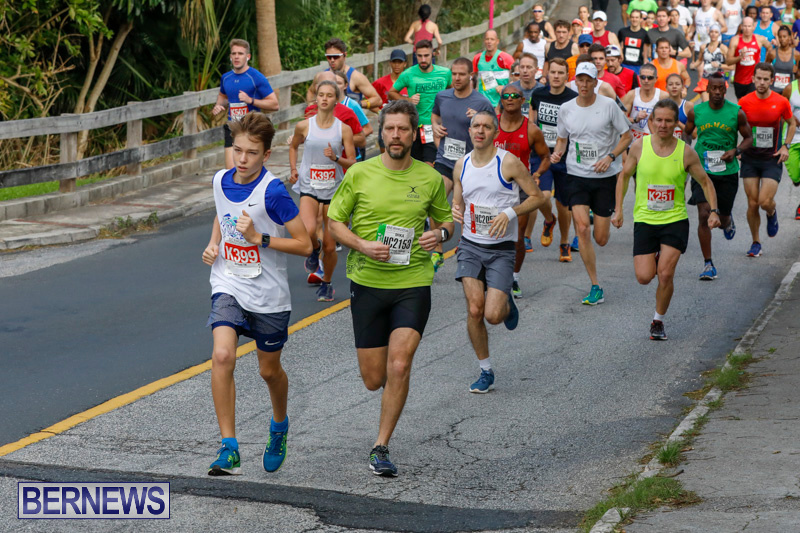 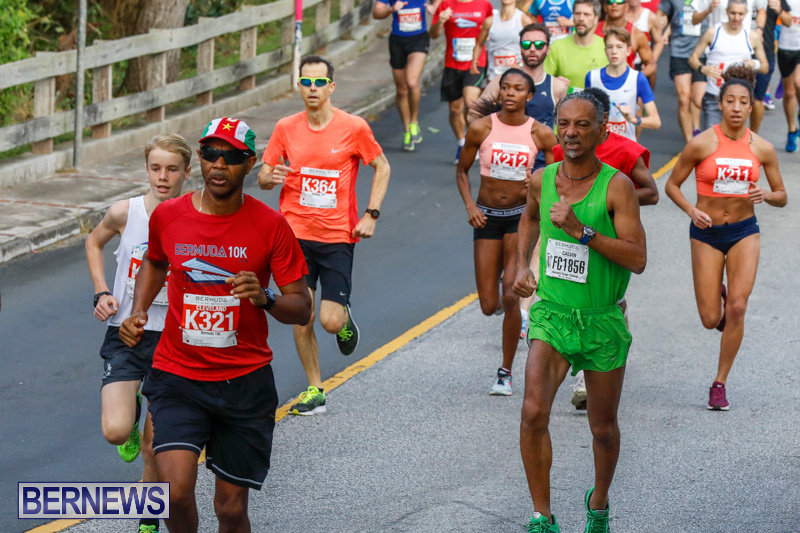 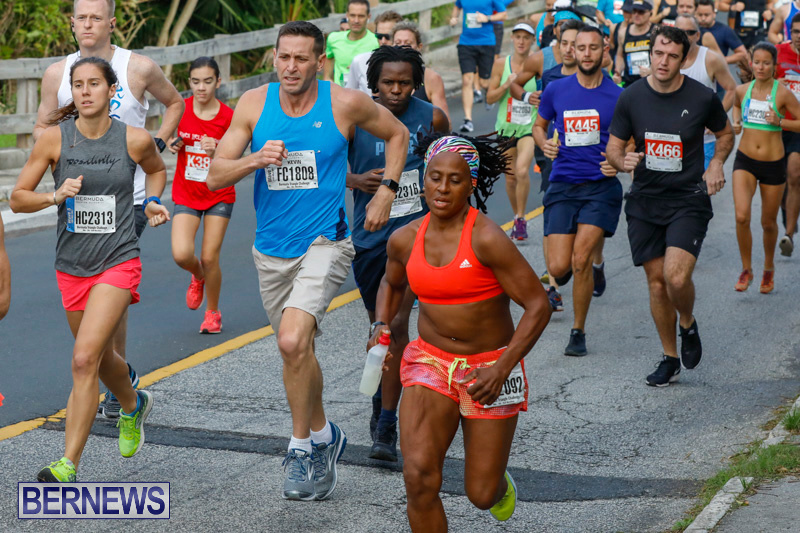 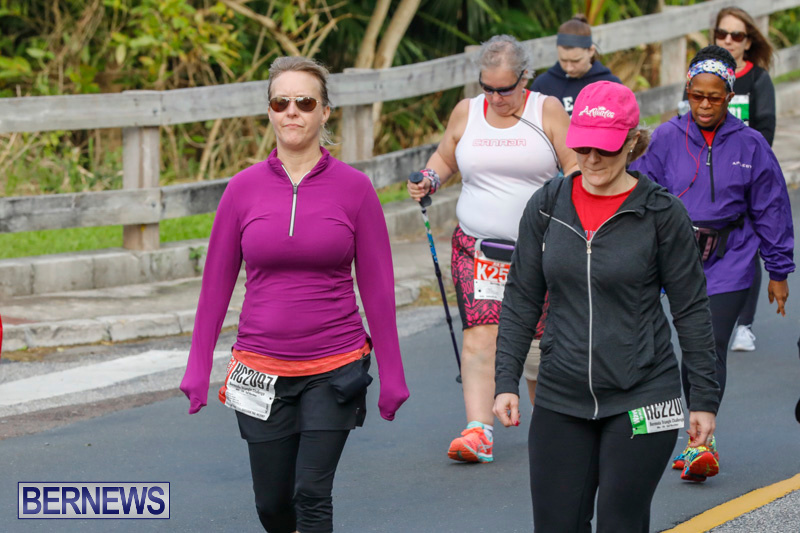 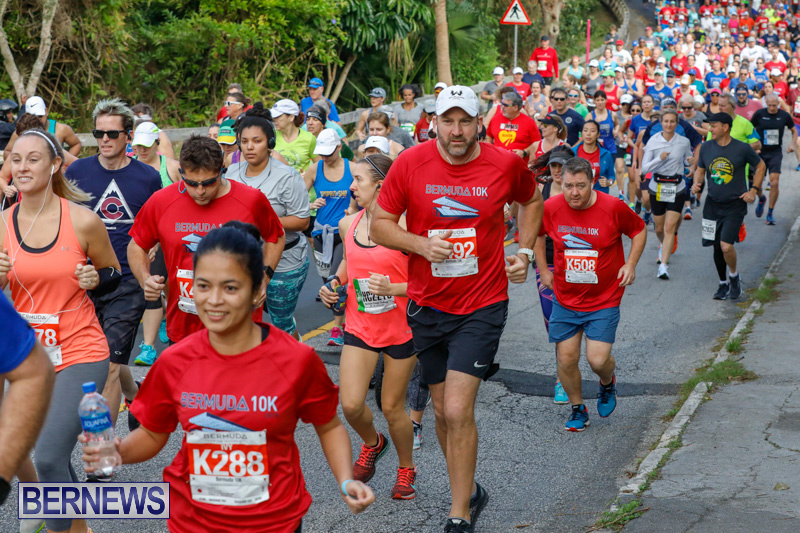 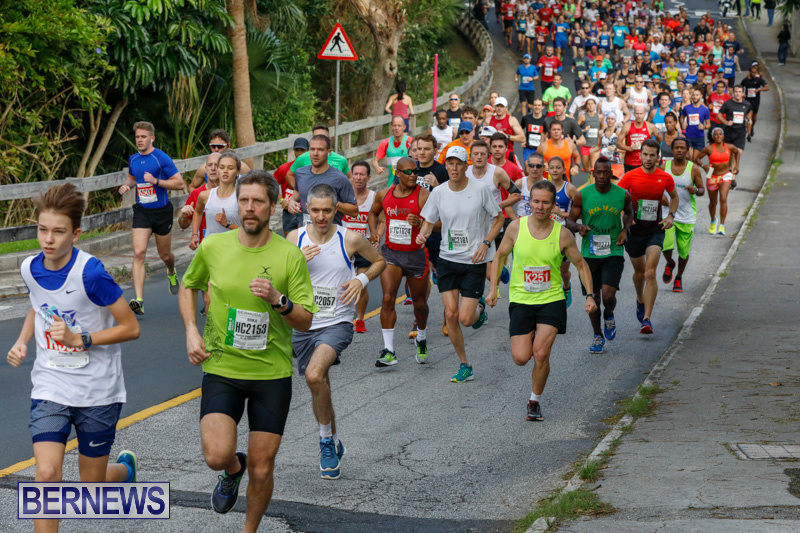 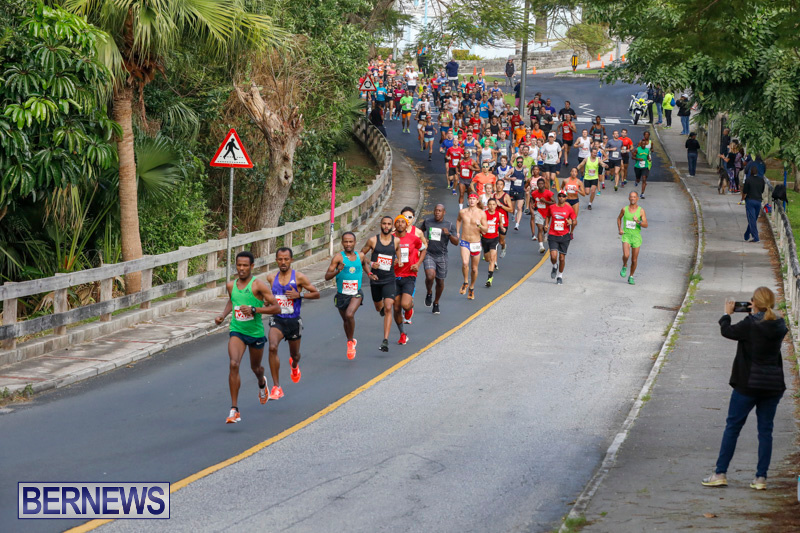 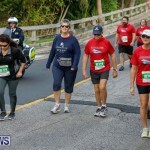 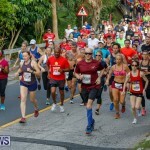 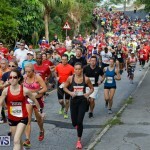 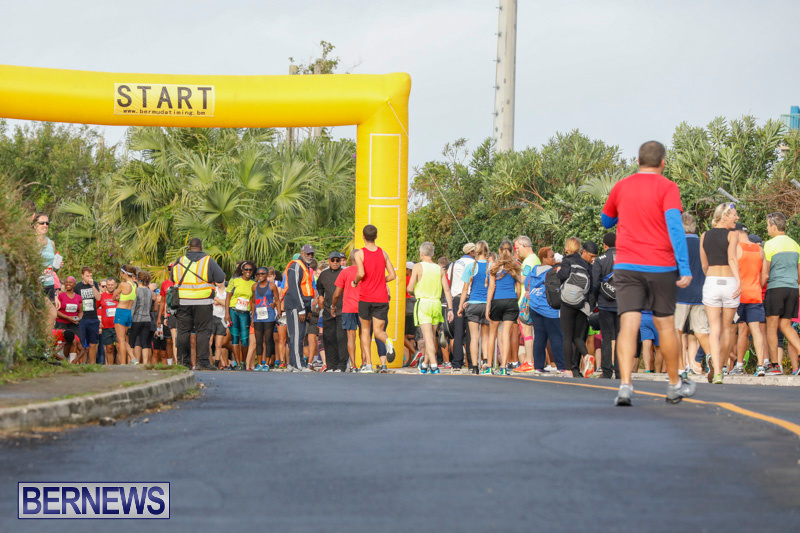 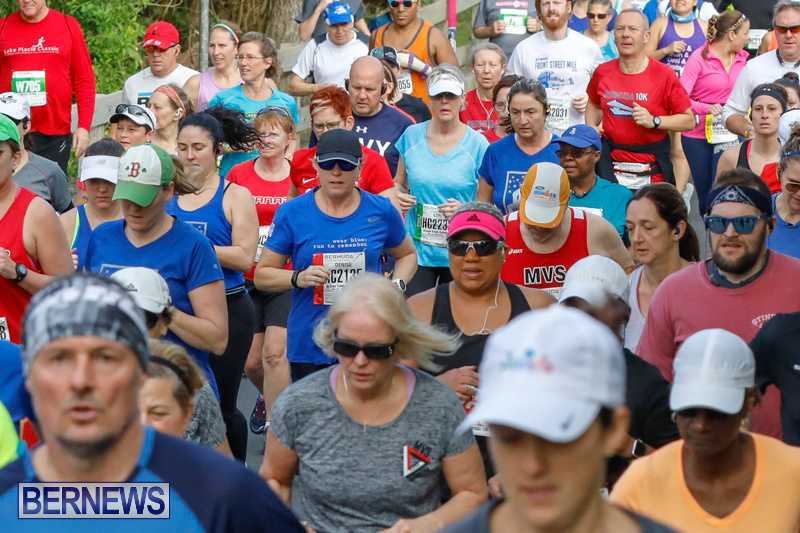 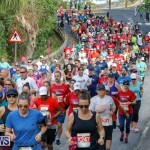 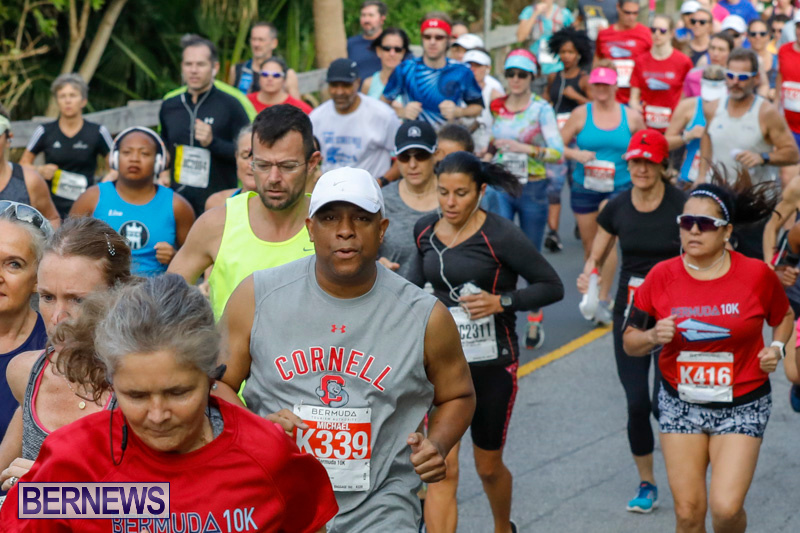 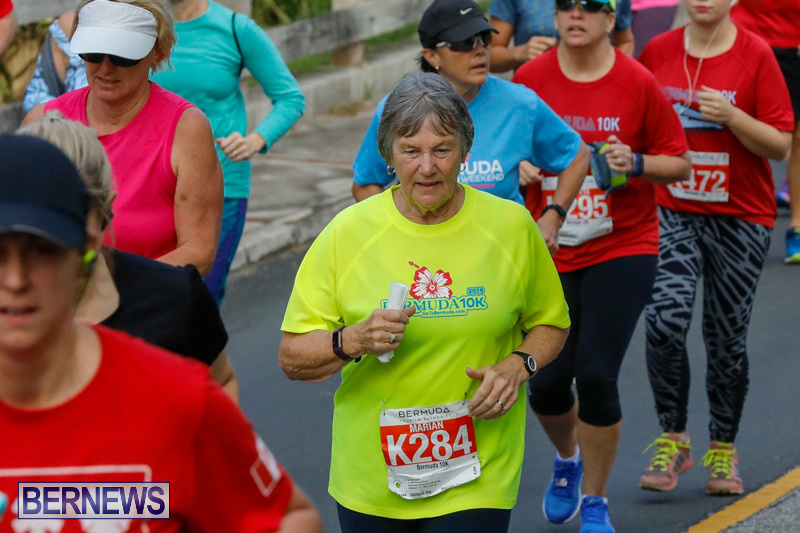 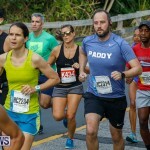 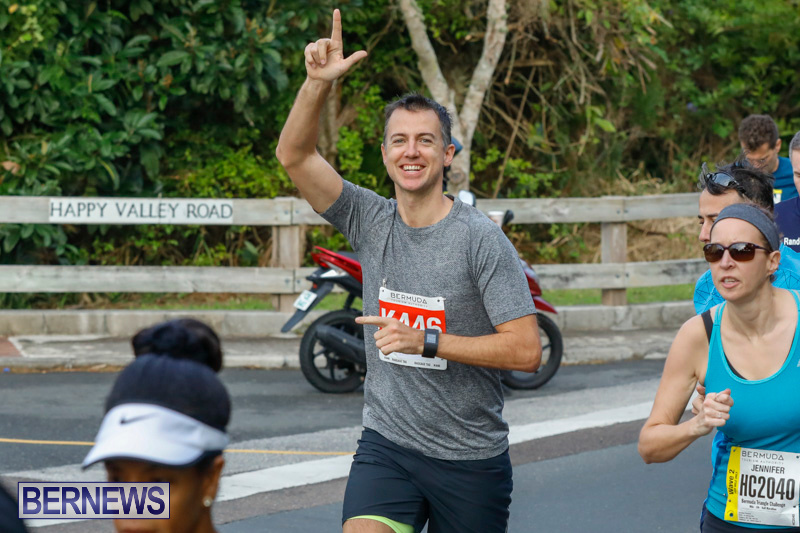 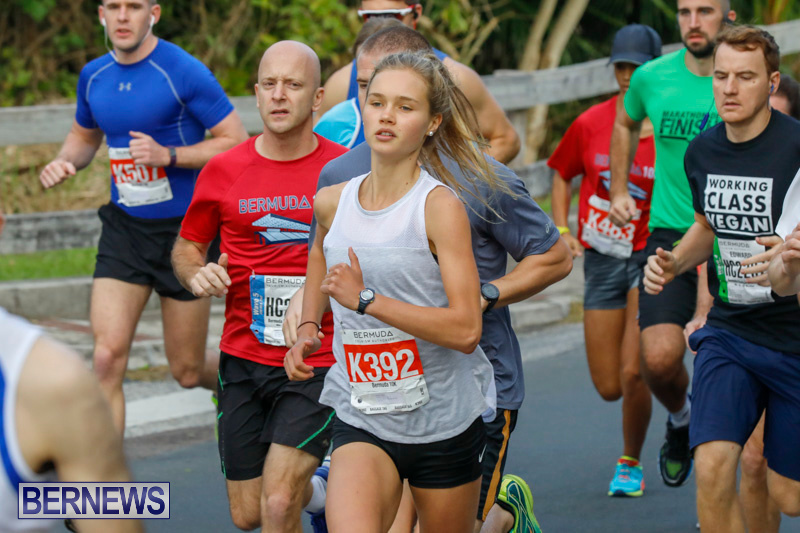 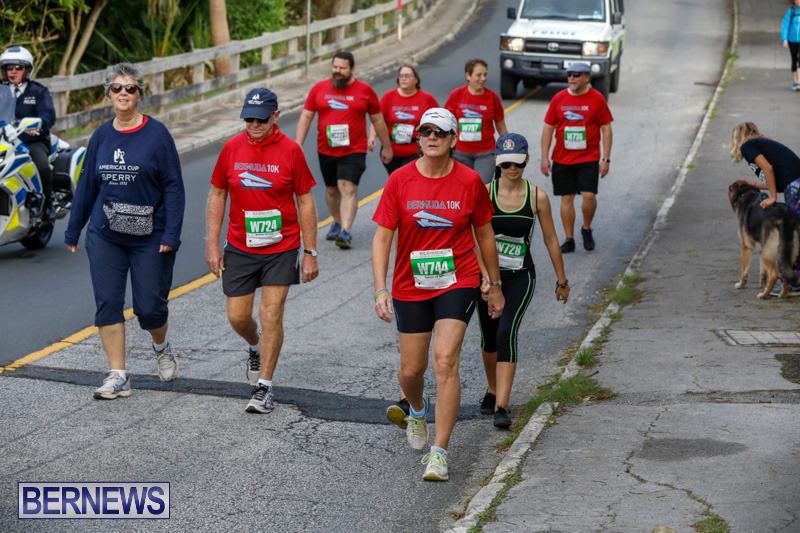 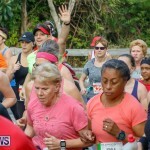 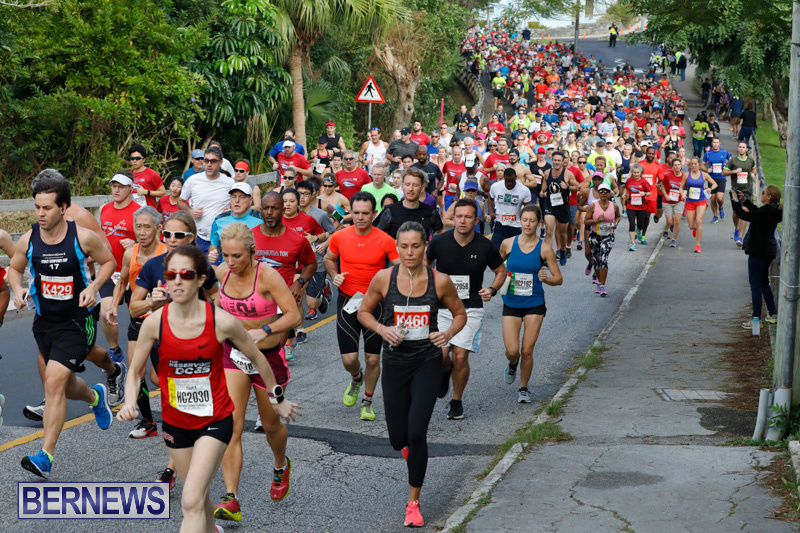 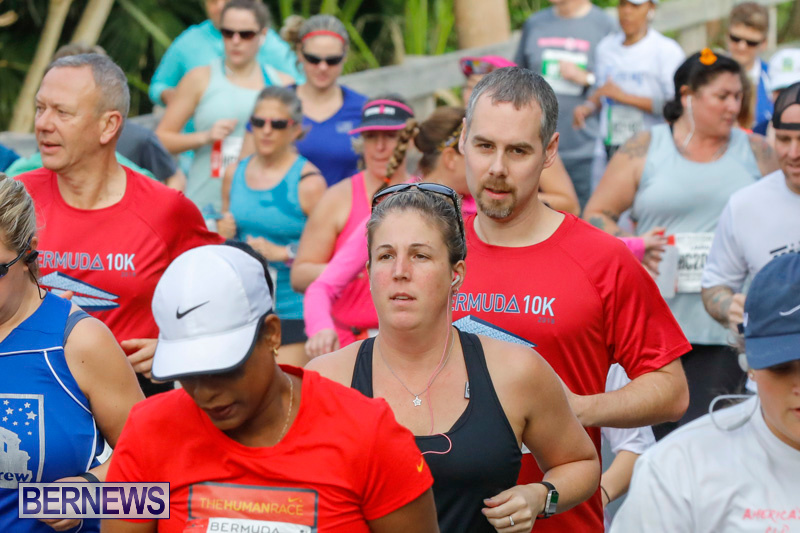 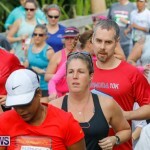 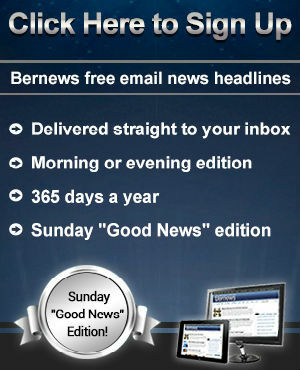 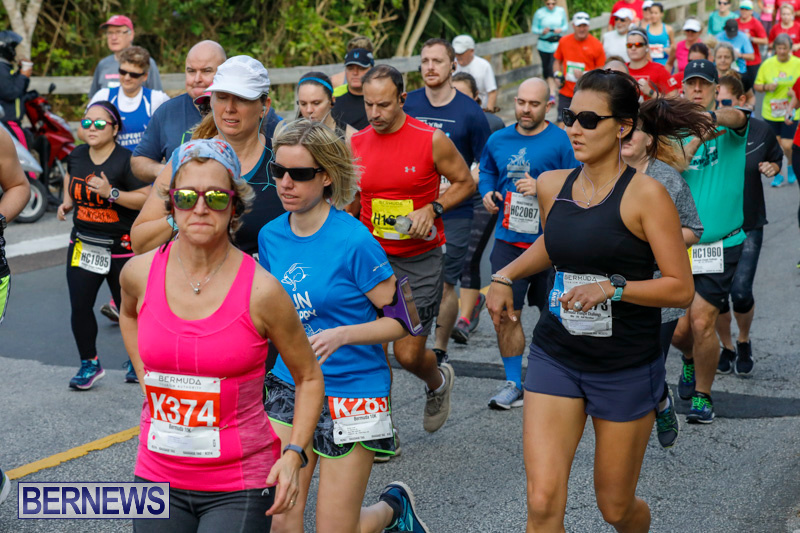 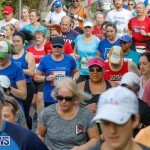 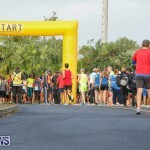 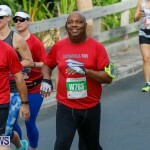 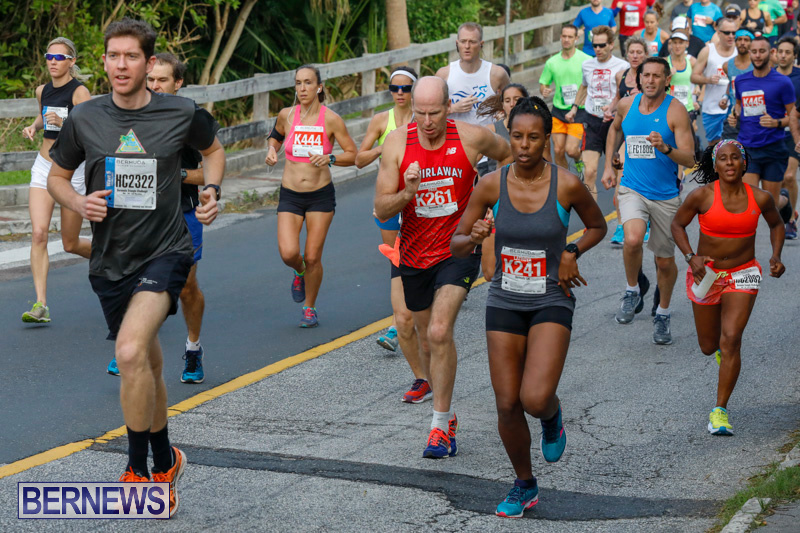 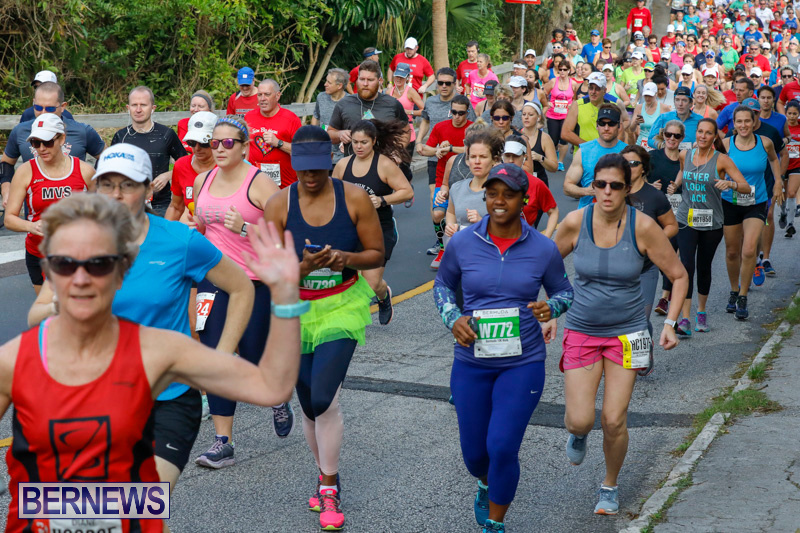 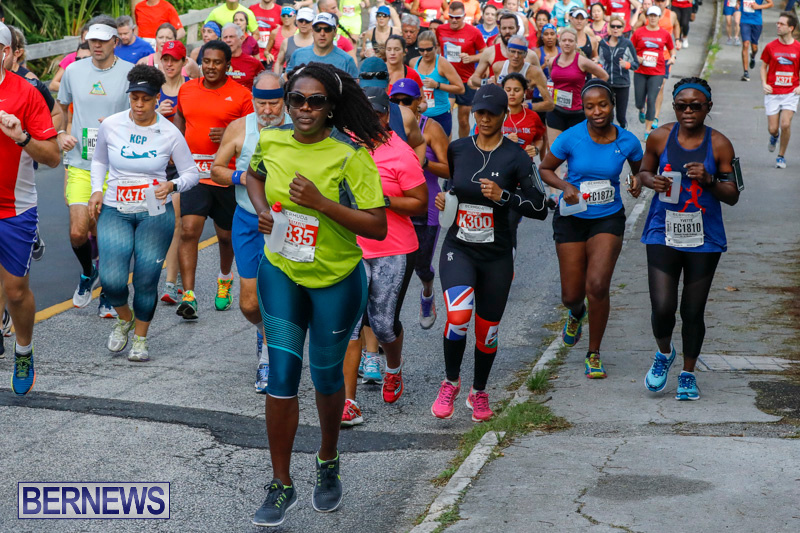 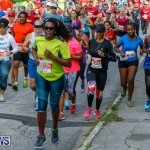 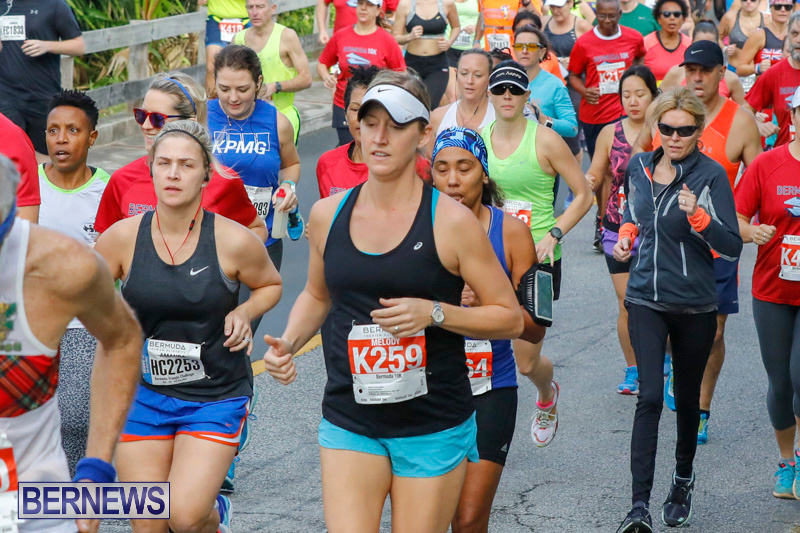 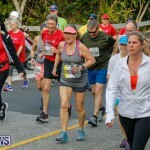 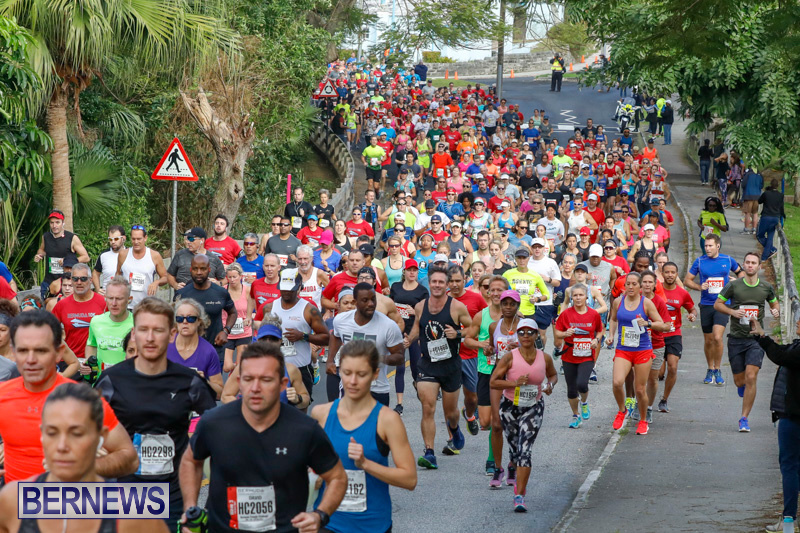 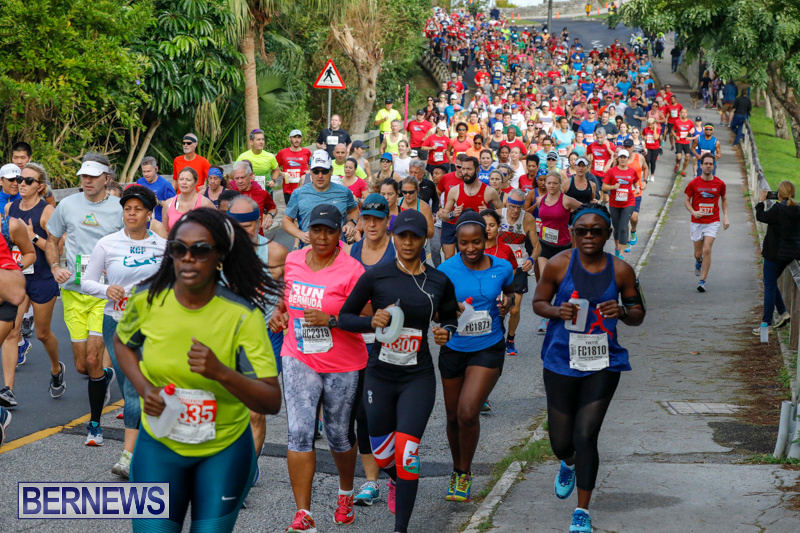 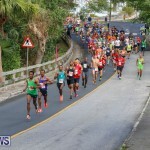 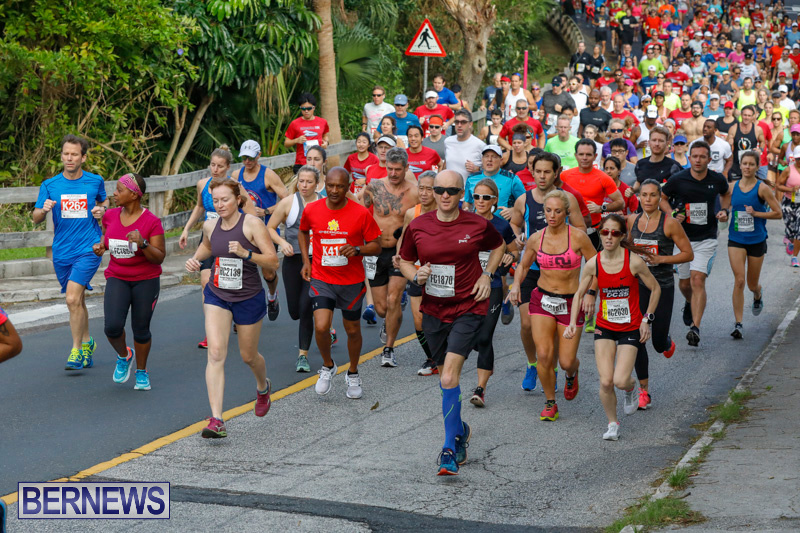 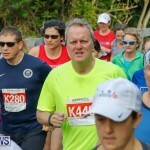 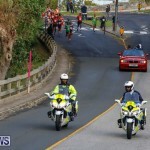 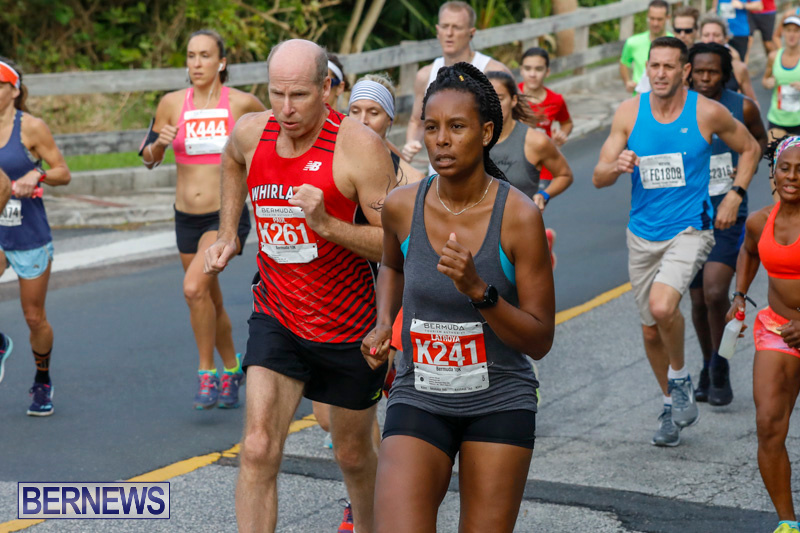 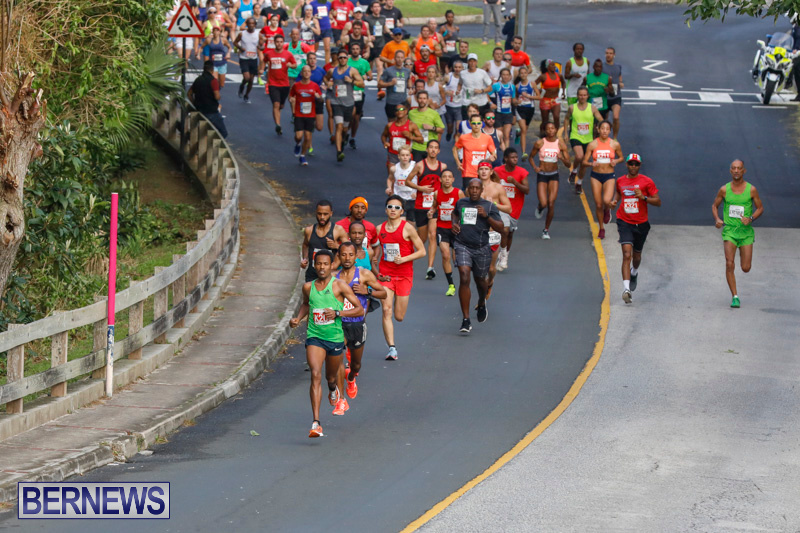 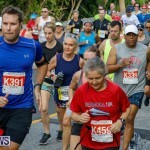 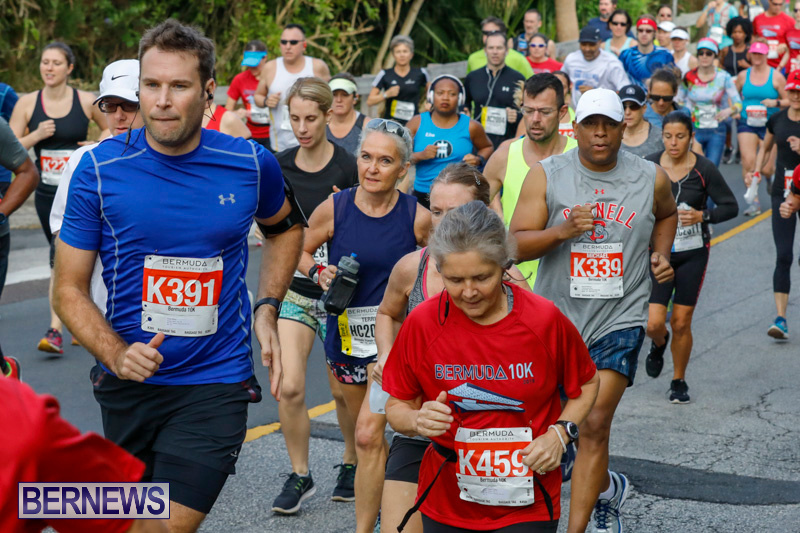 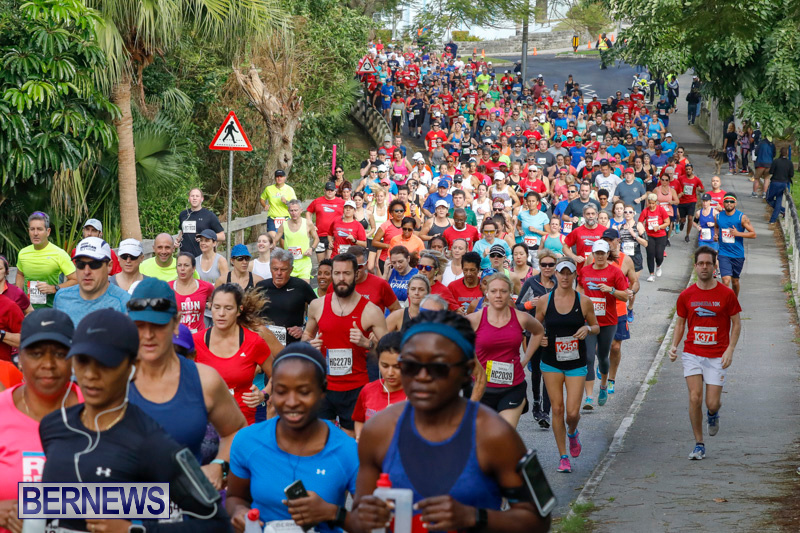 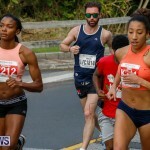 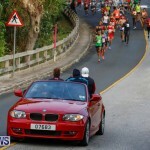 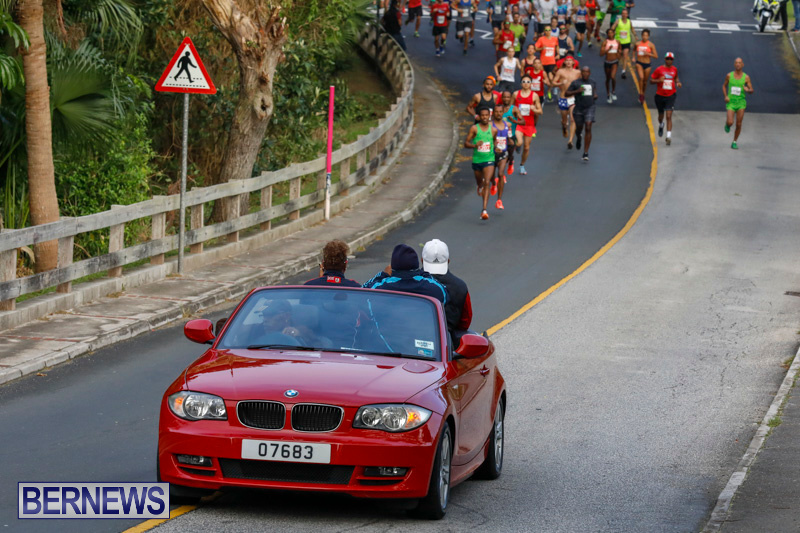 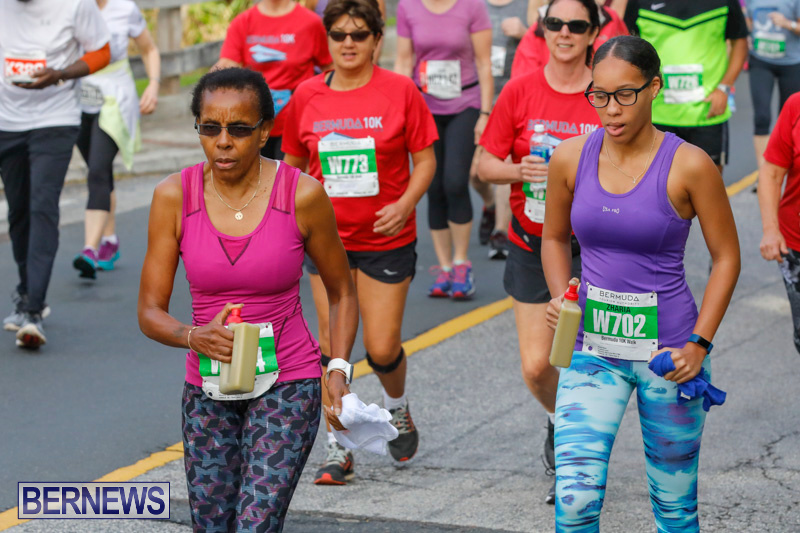 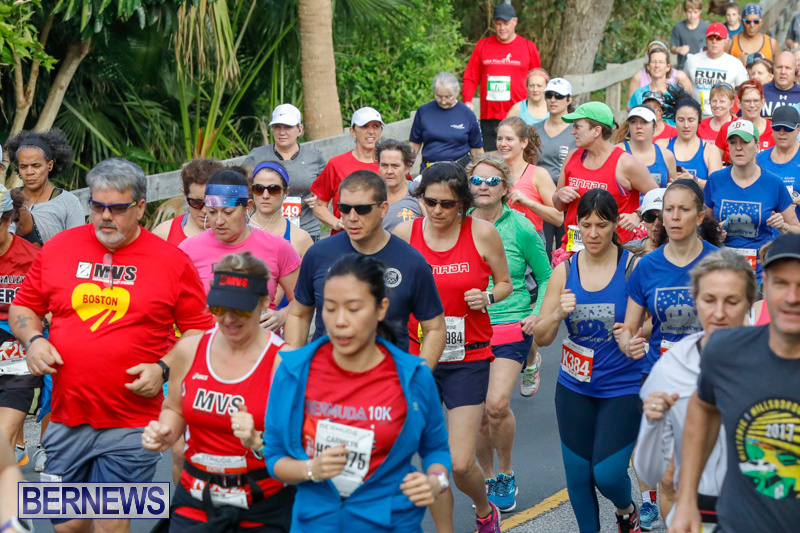 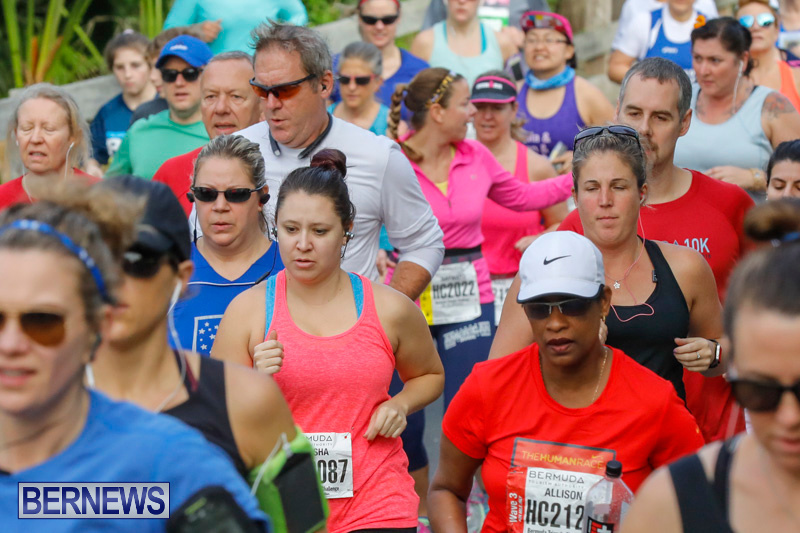 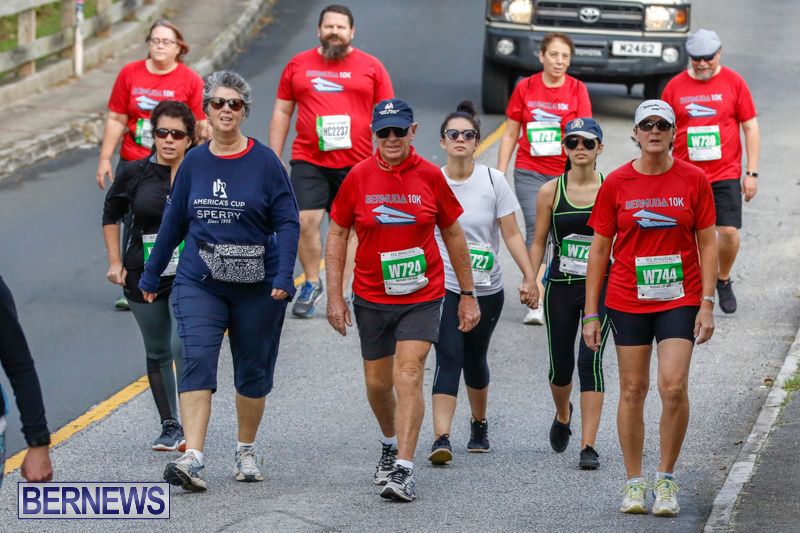 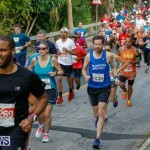 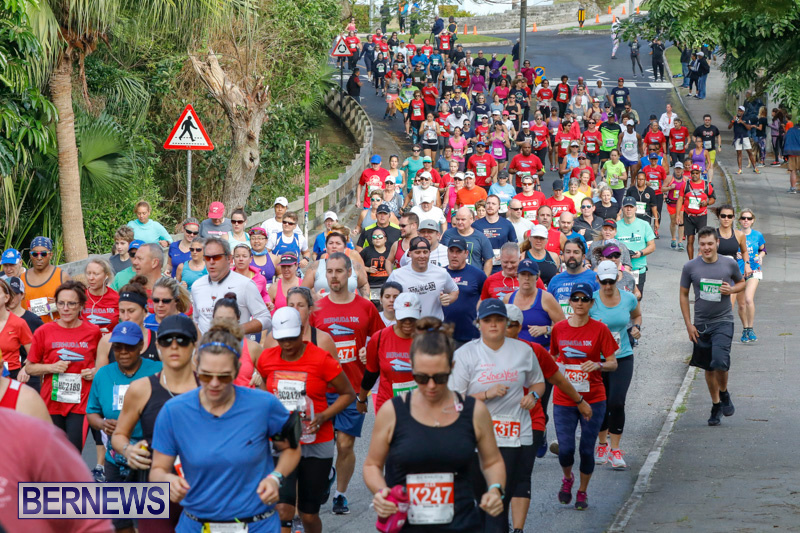 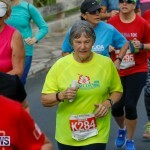 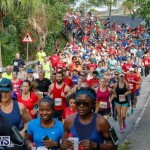 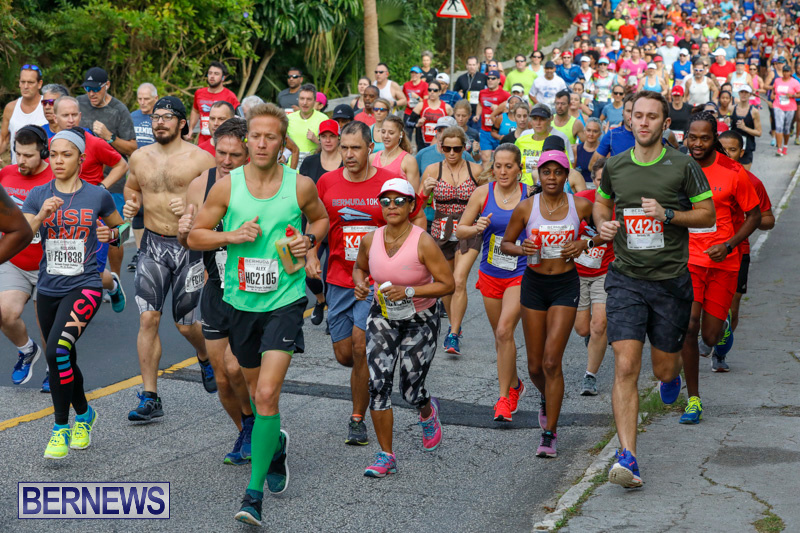 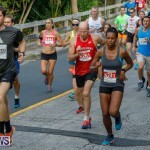 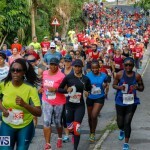 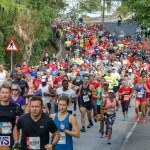 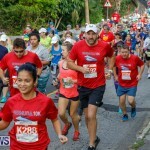 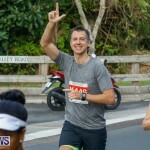 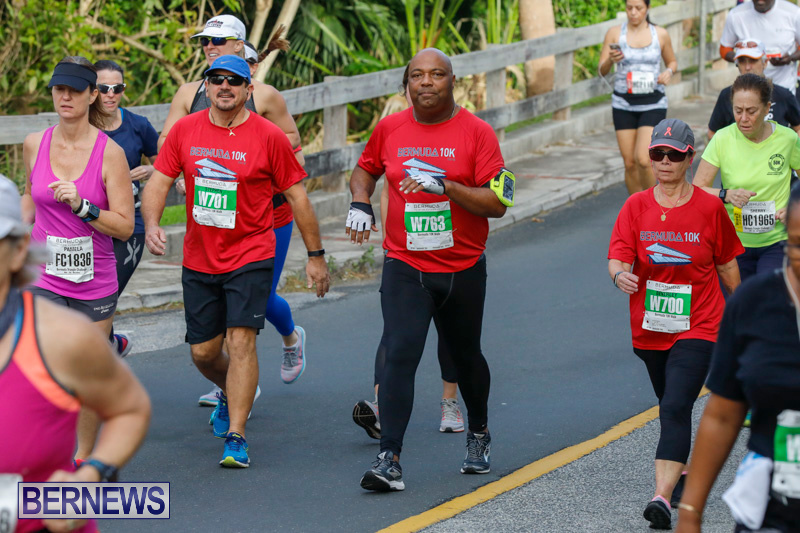 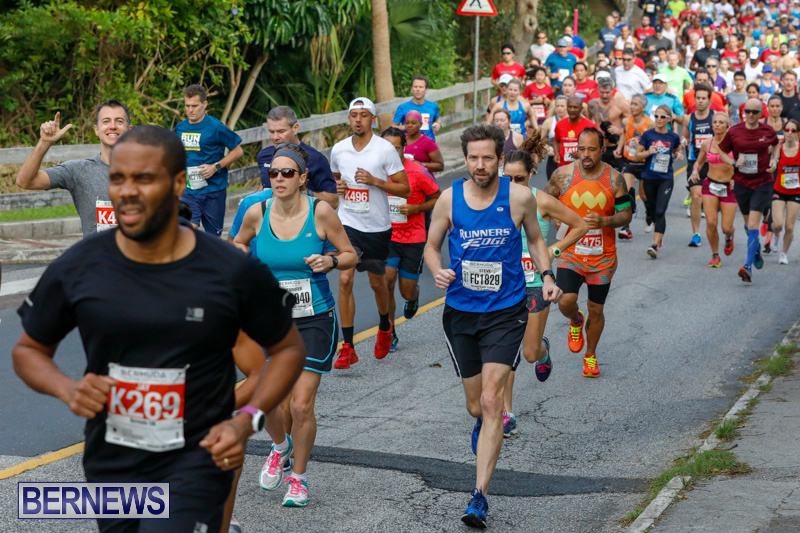 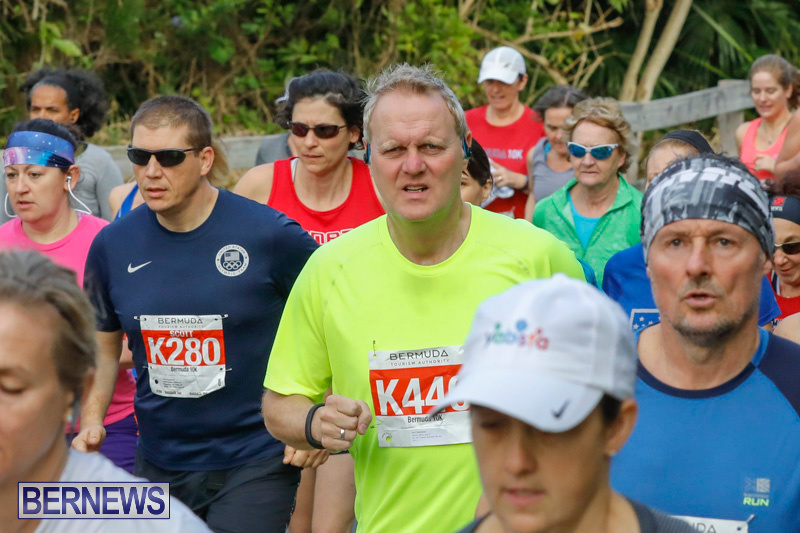 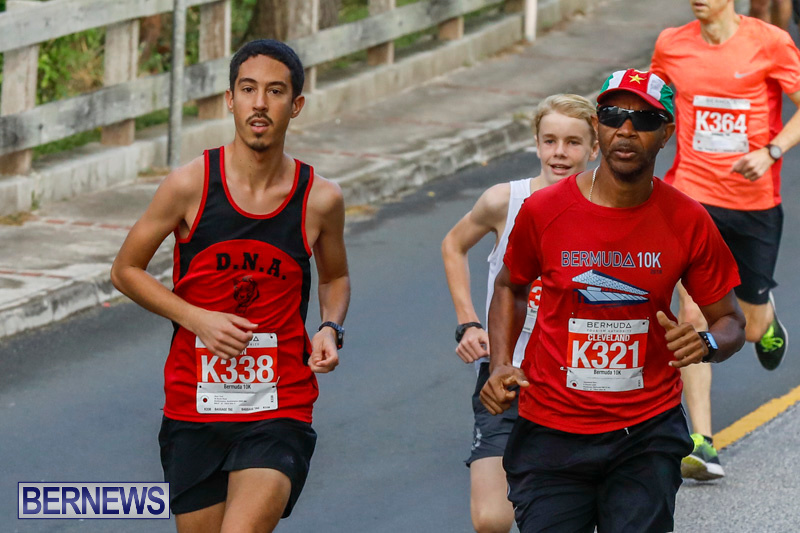 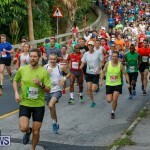 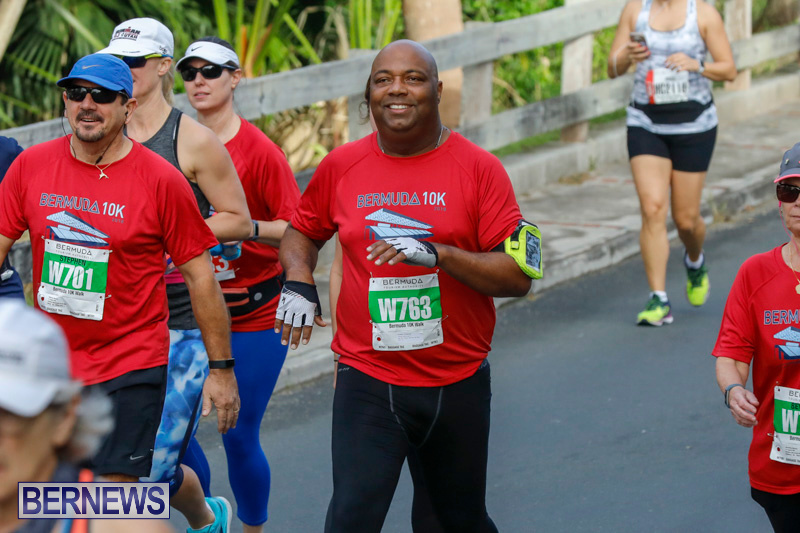 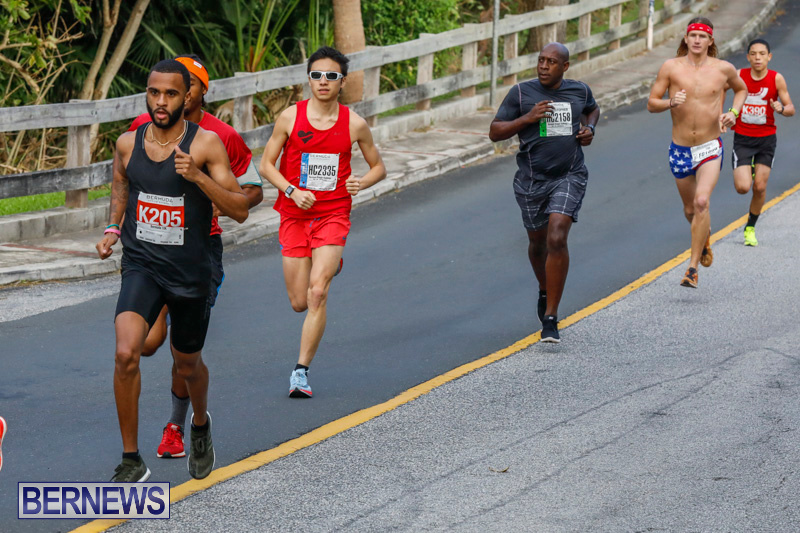 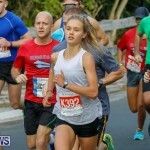 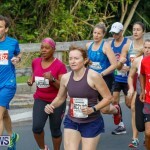 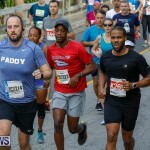 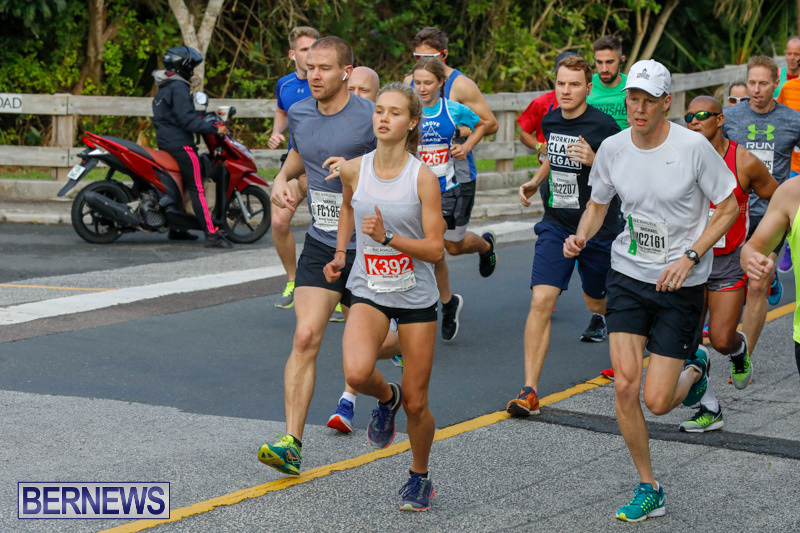 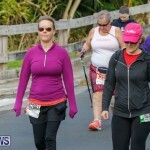 [Updated with photos + results] Hundreds of runners made their way to the National Sports Centre this morning [Jan 13] to take part in the 2018 Bermuda Marathon Weekend 10K race, and the live video of the finish line is below. 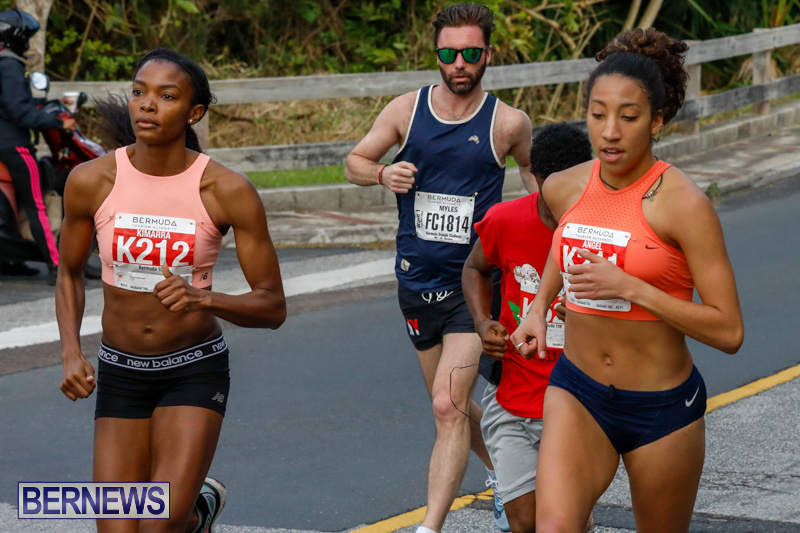 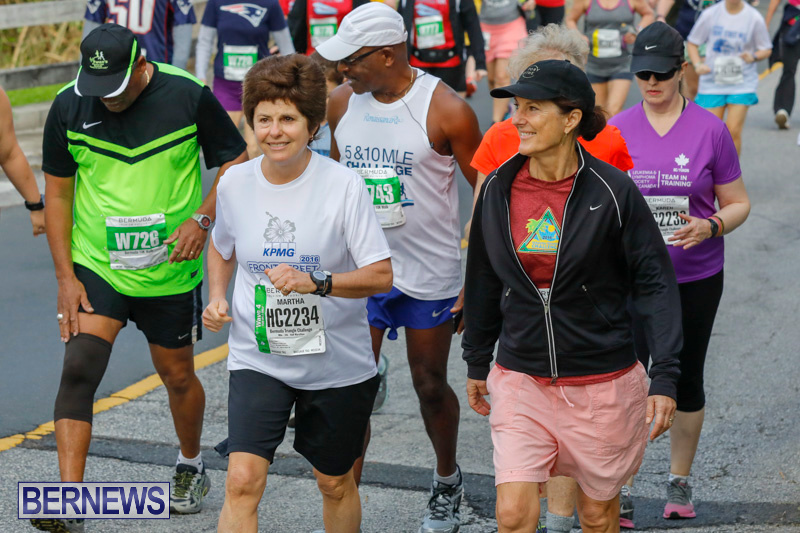 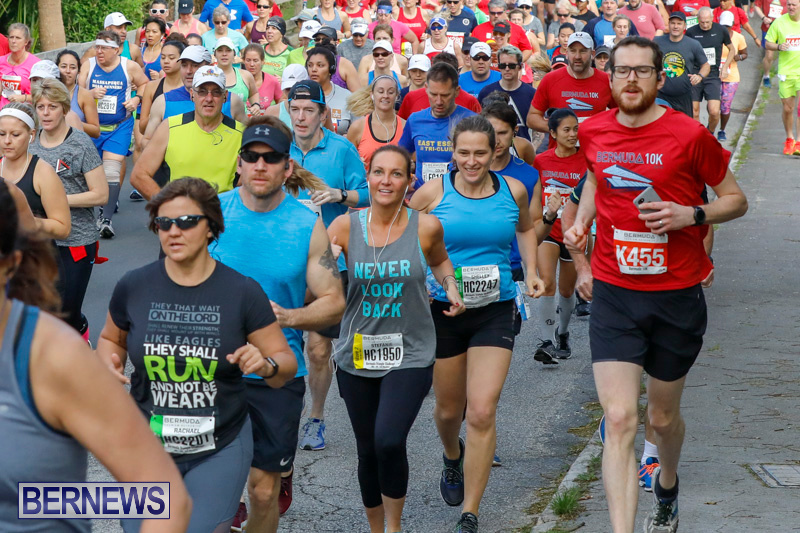 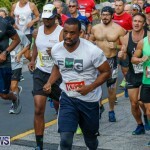 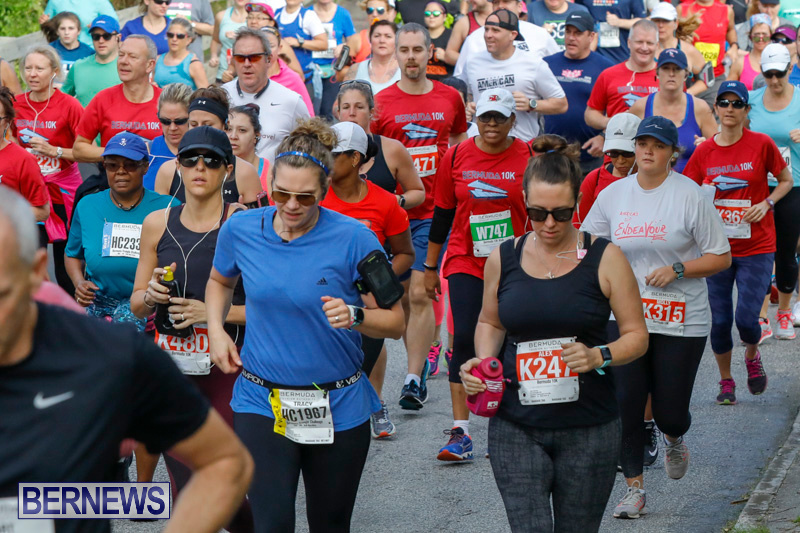 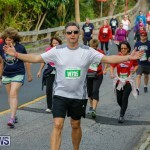 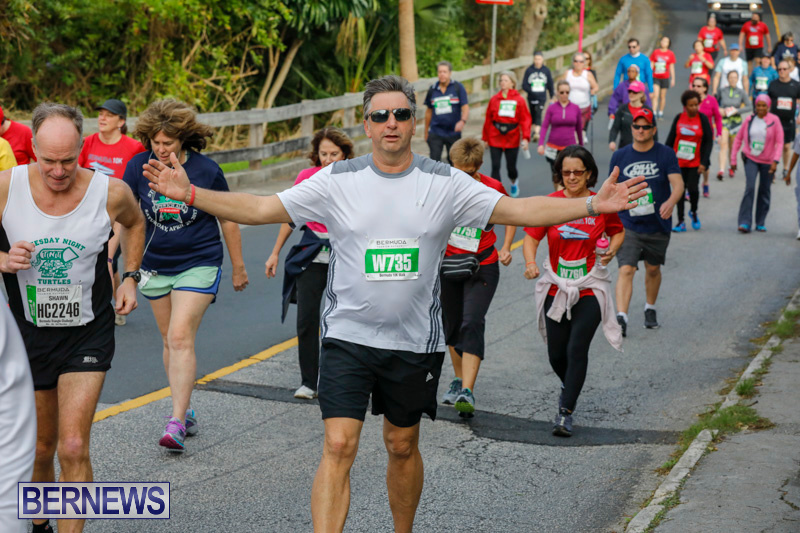 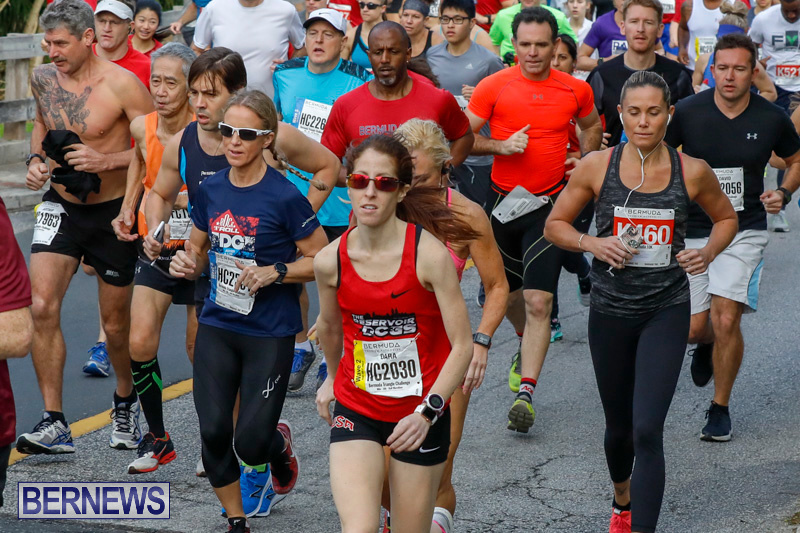 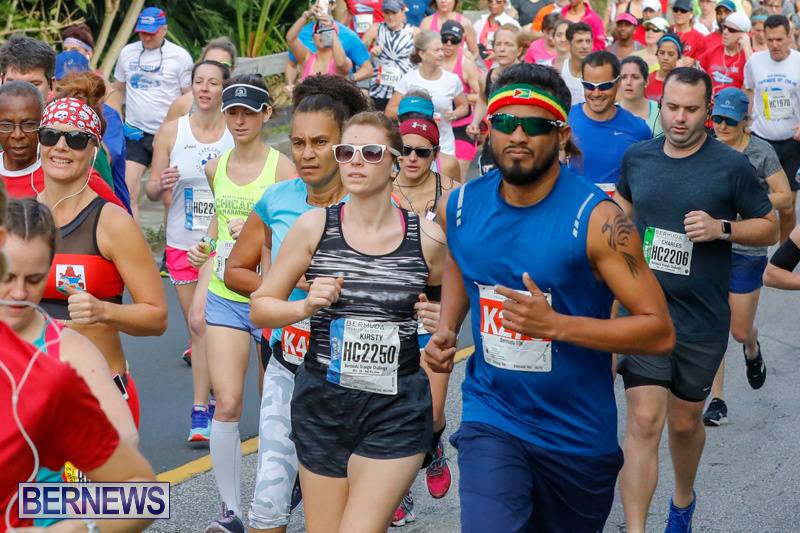 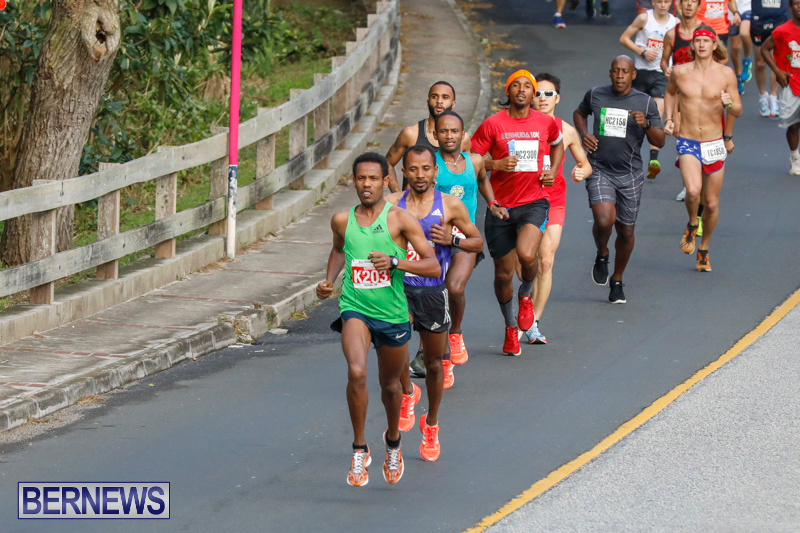 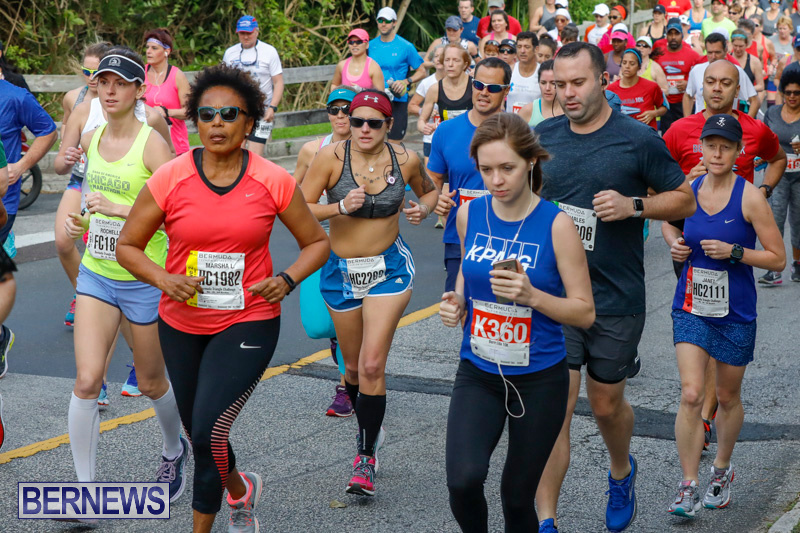 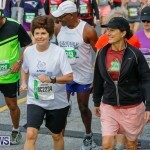 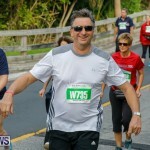 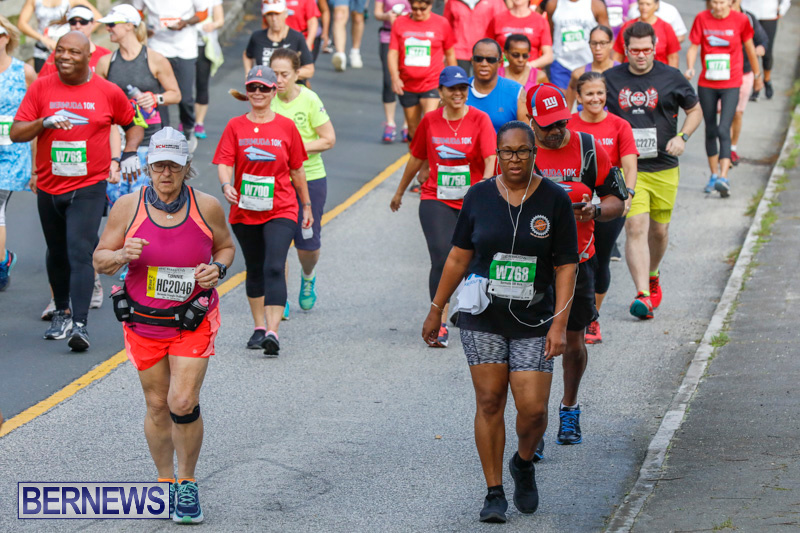 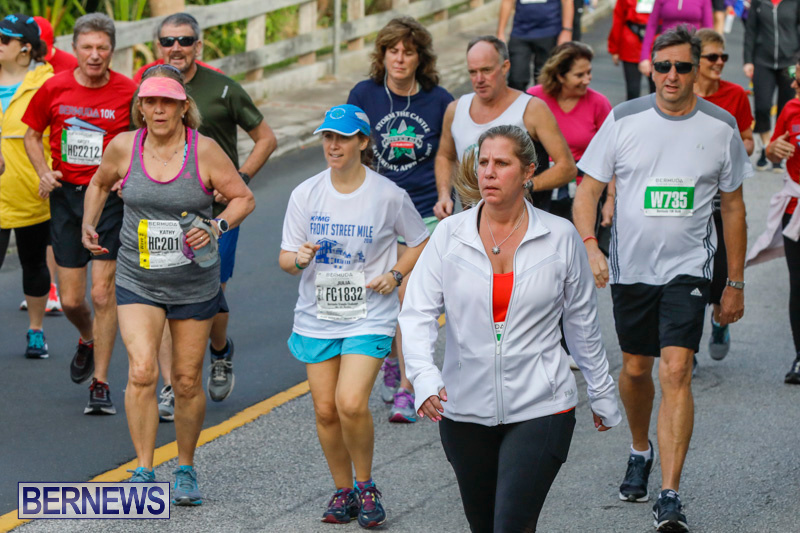 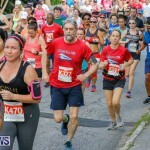 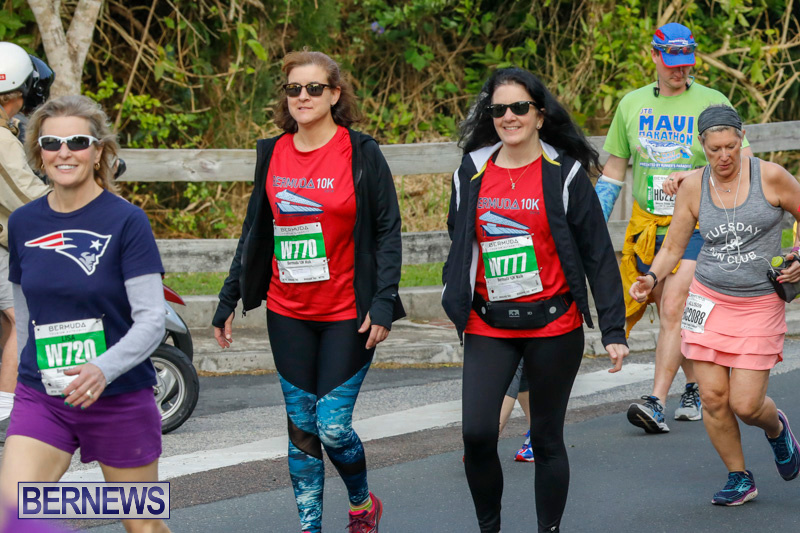 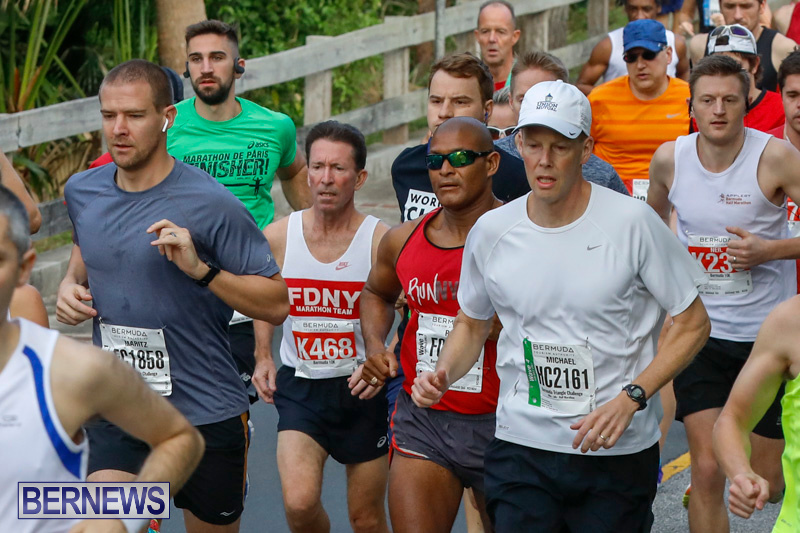 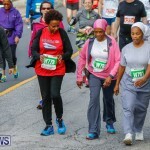 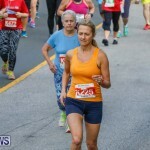 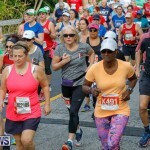 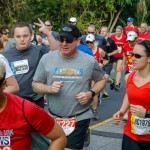 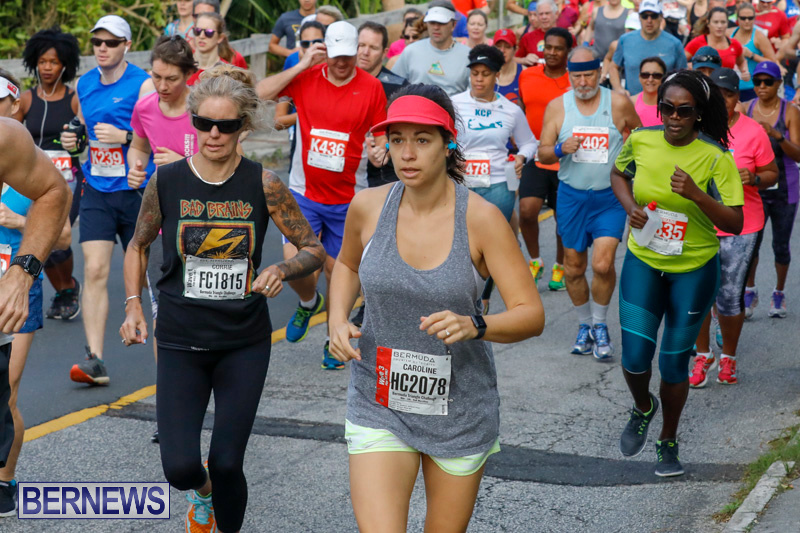 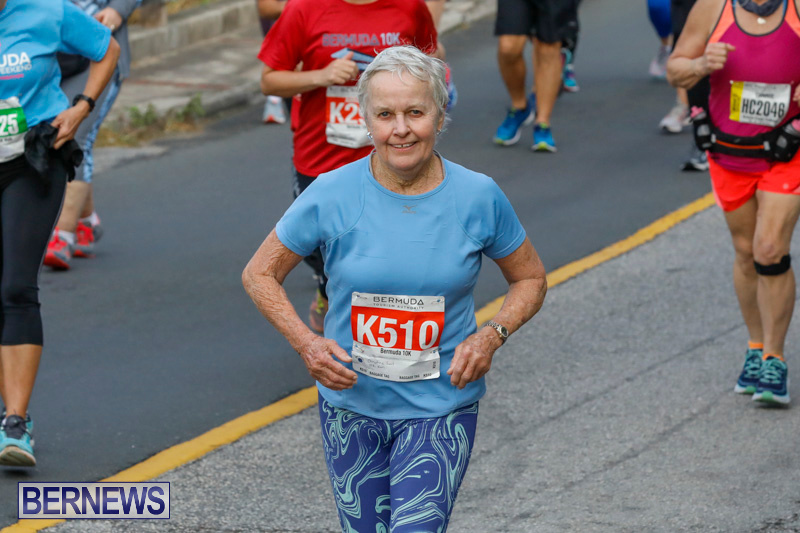 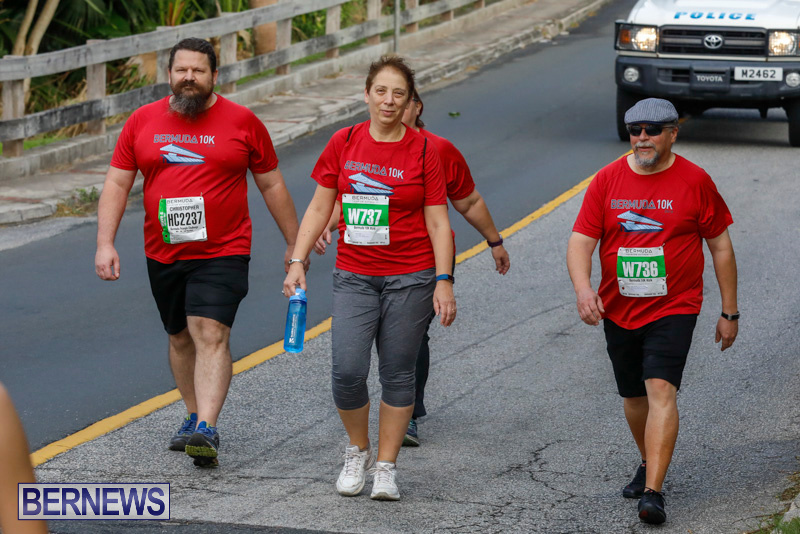 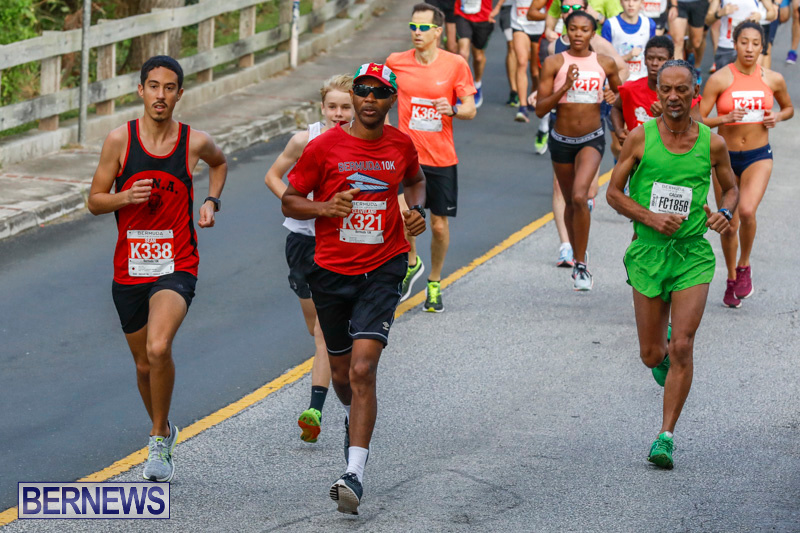 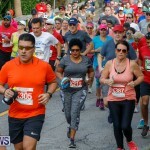 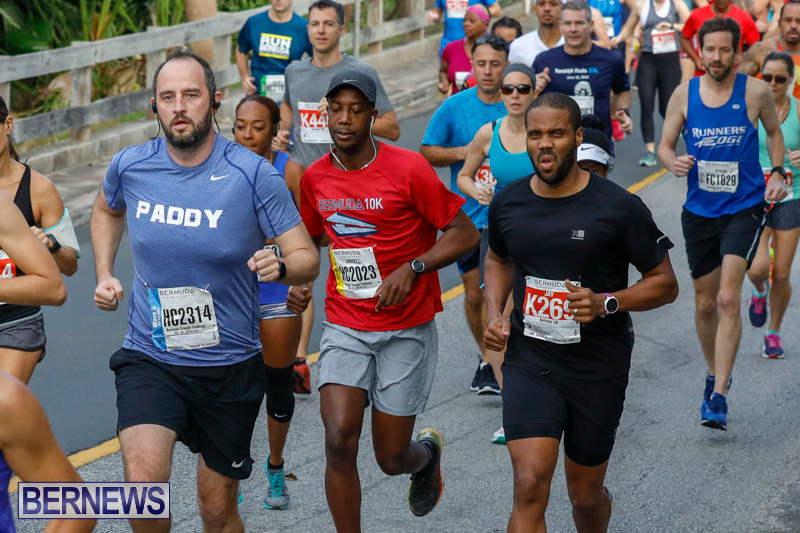 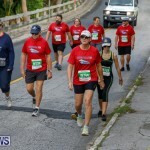 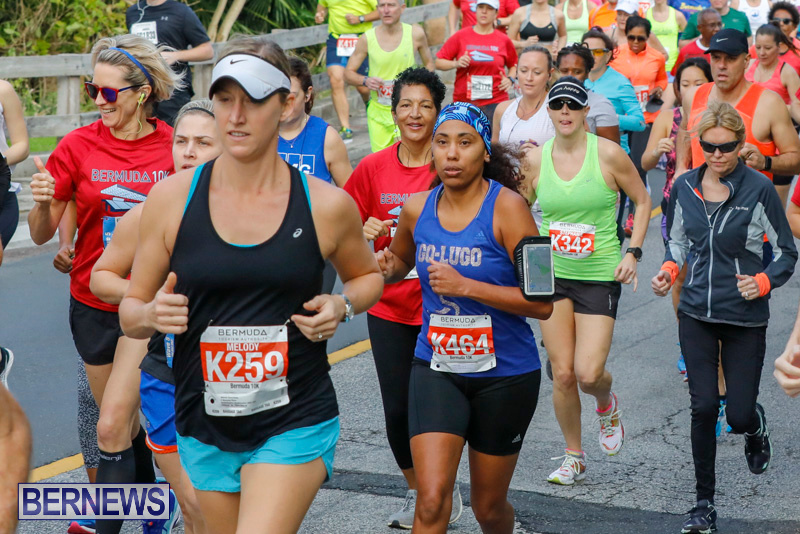 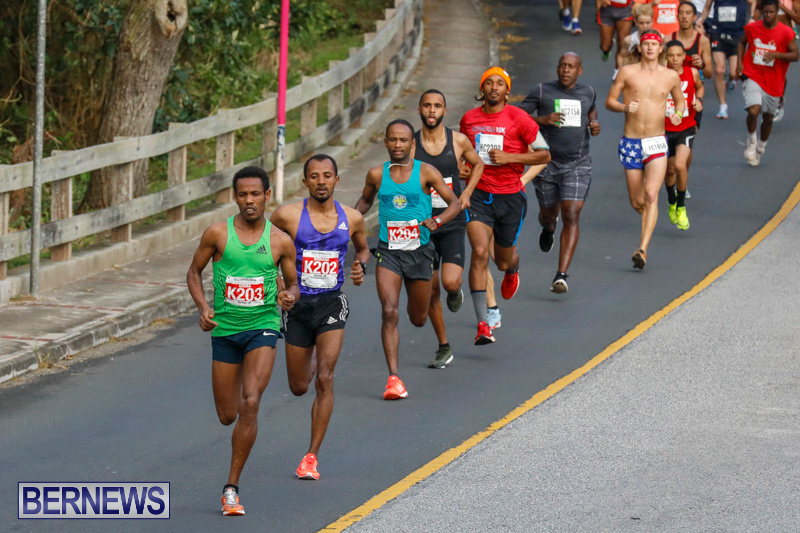 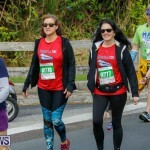 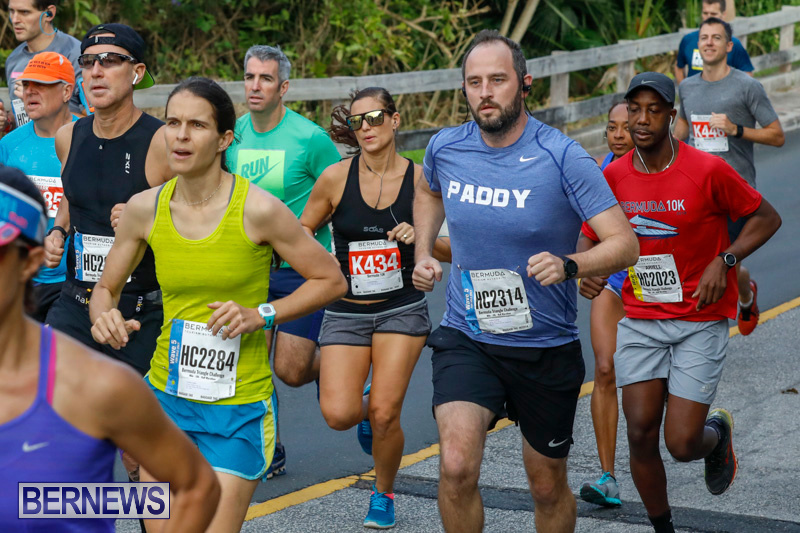 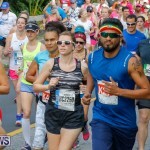 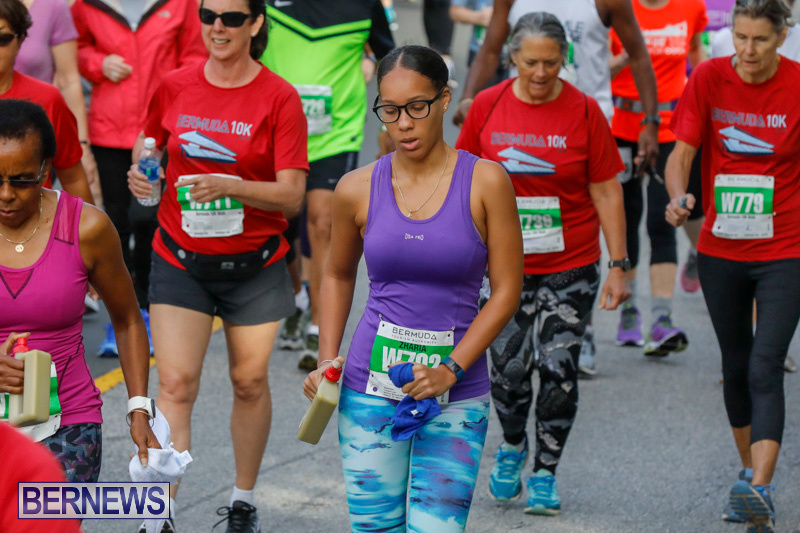 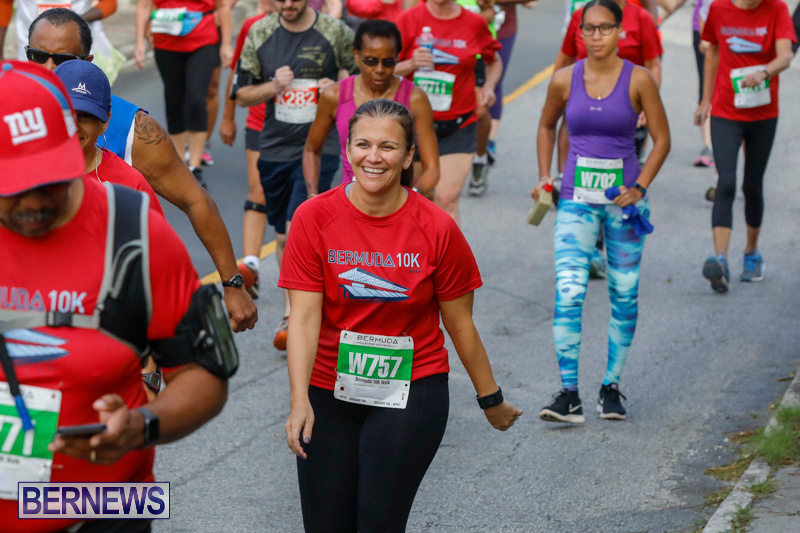 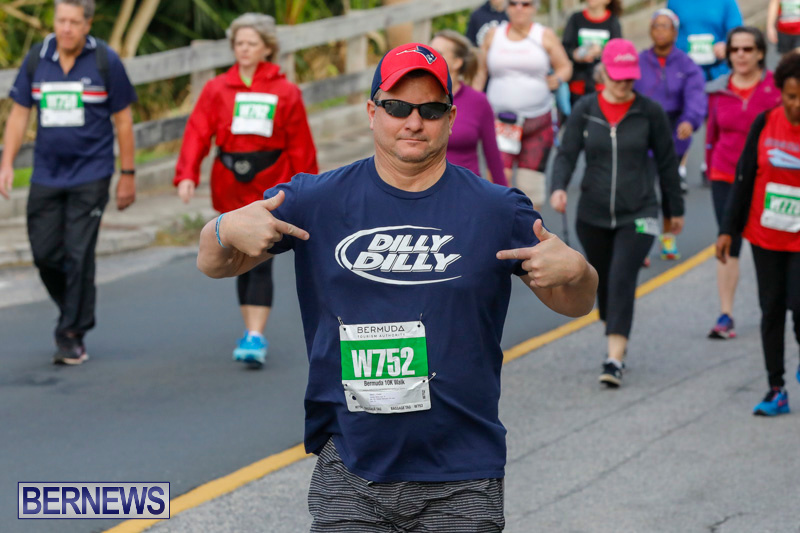 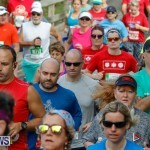 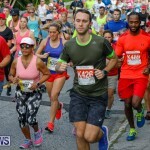 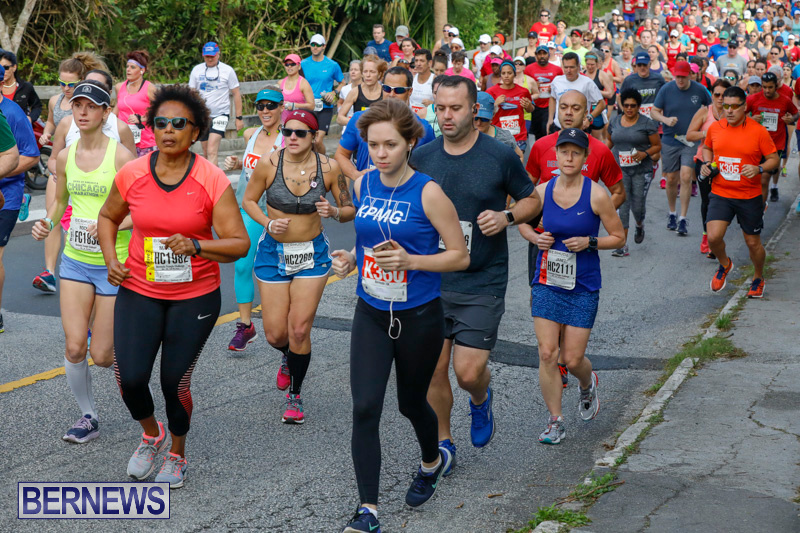 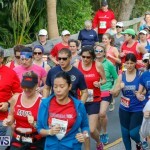 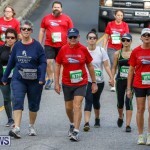 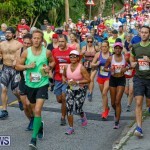 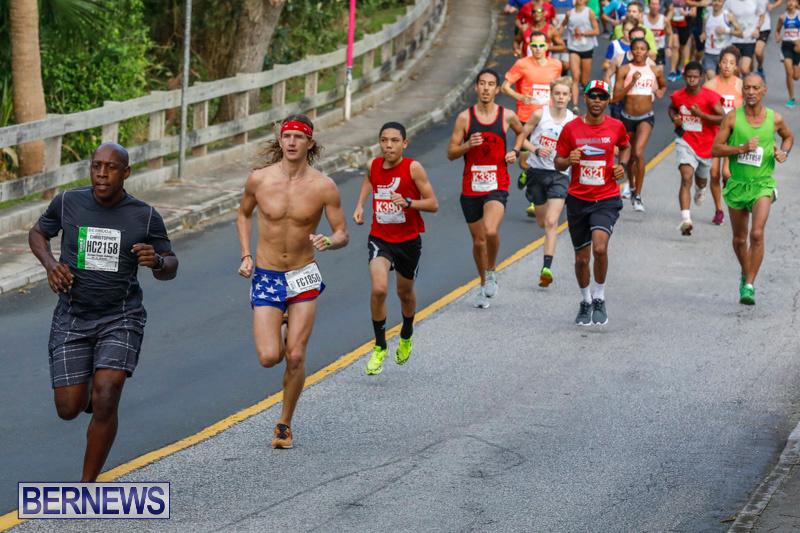 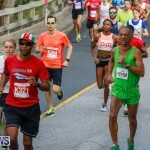 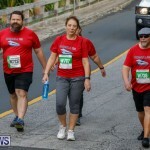 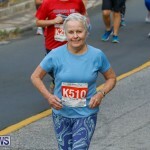 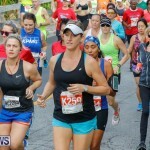 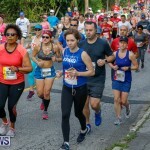 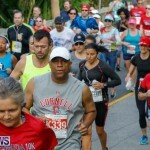 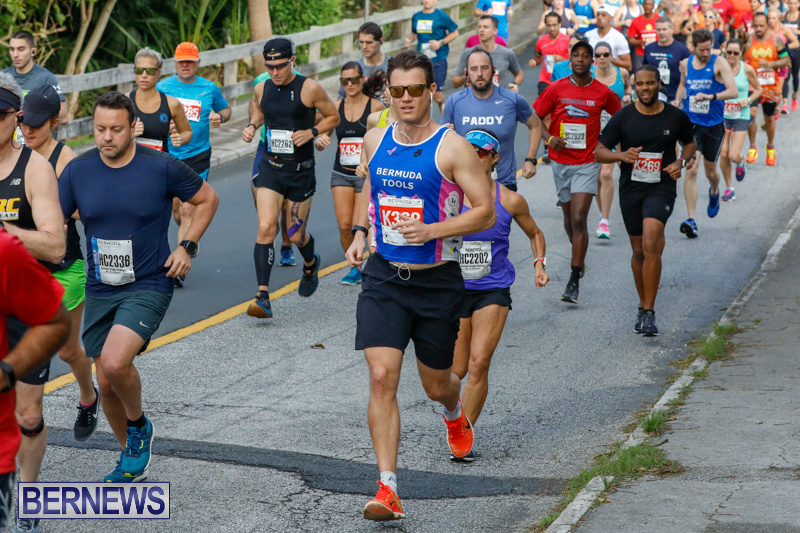 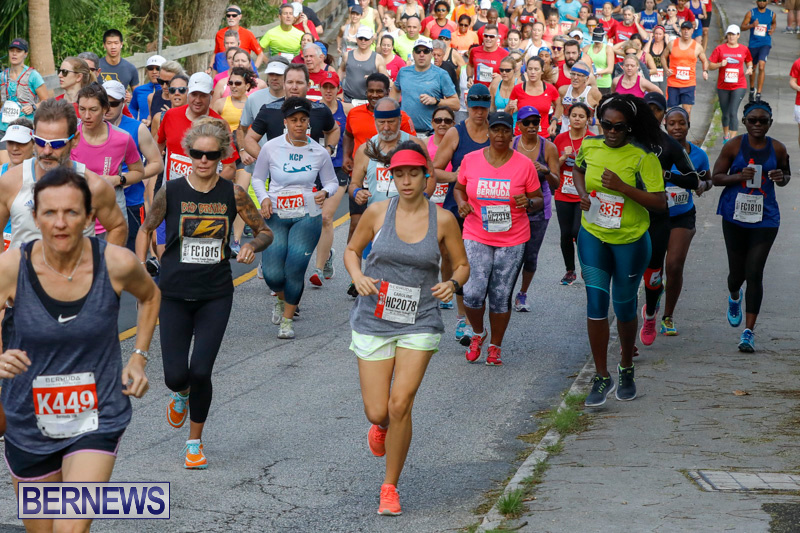 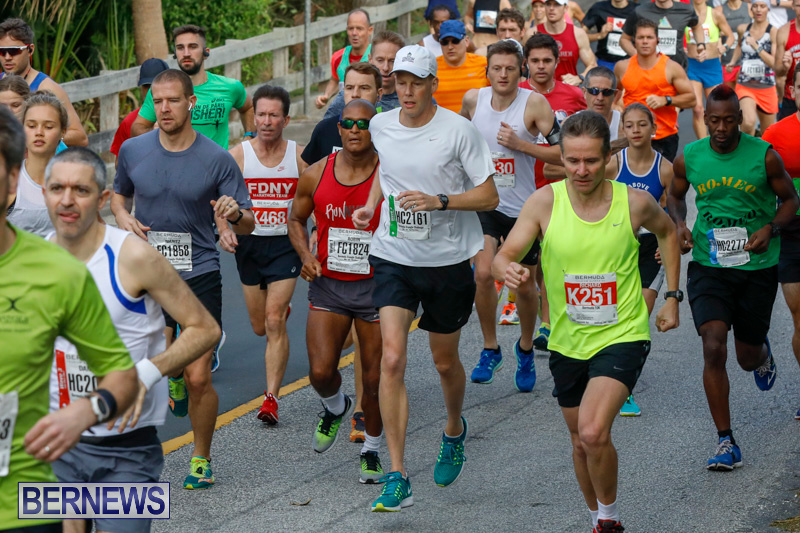 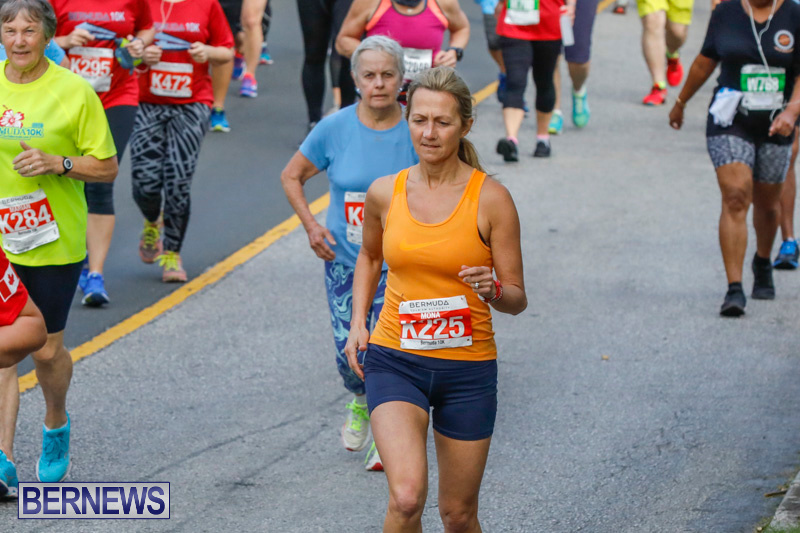 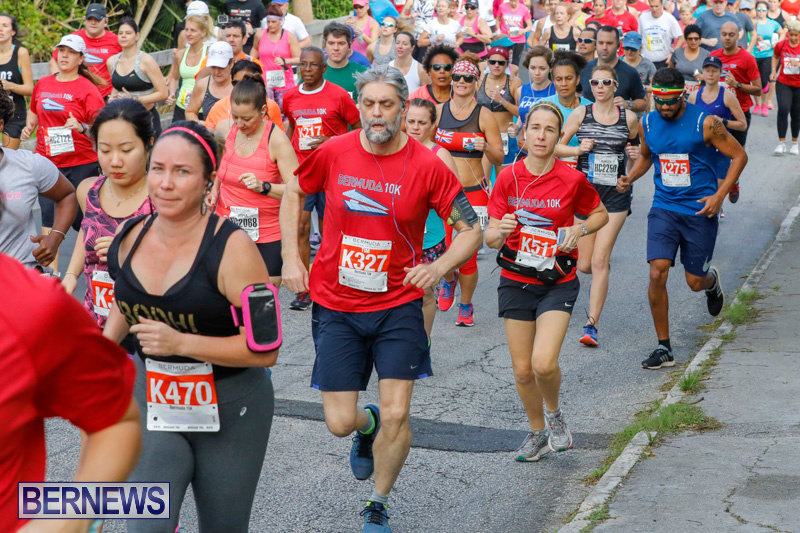 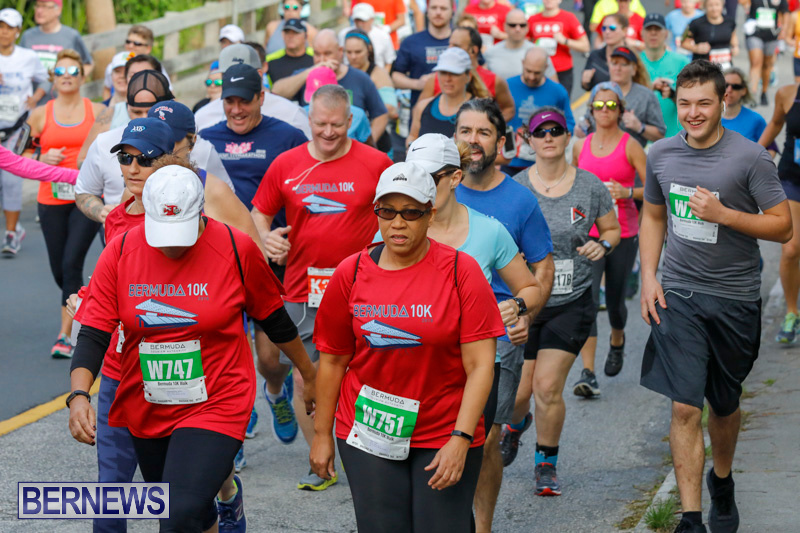 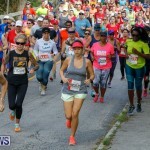 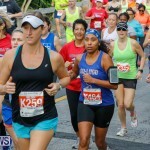 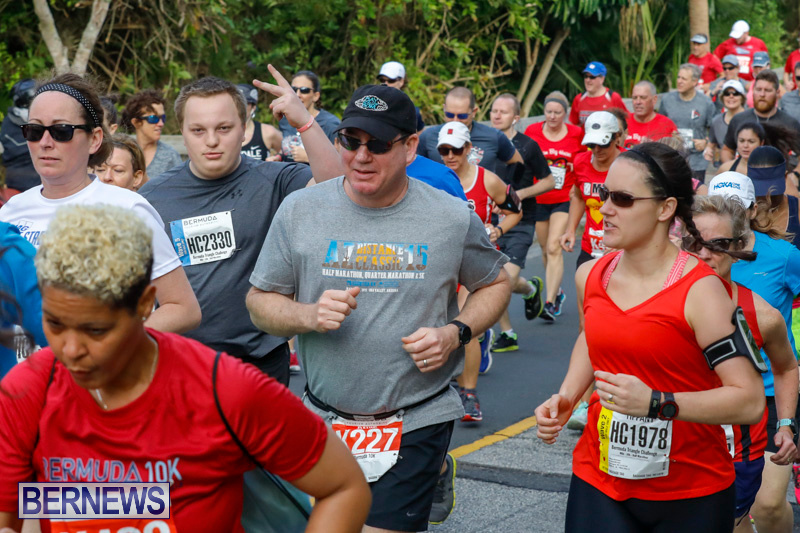 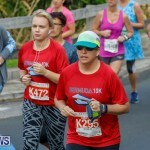 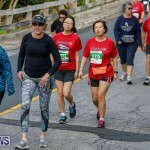 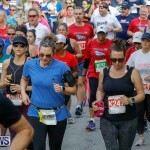 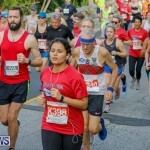 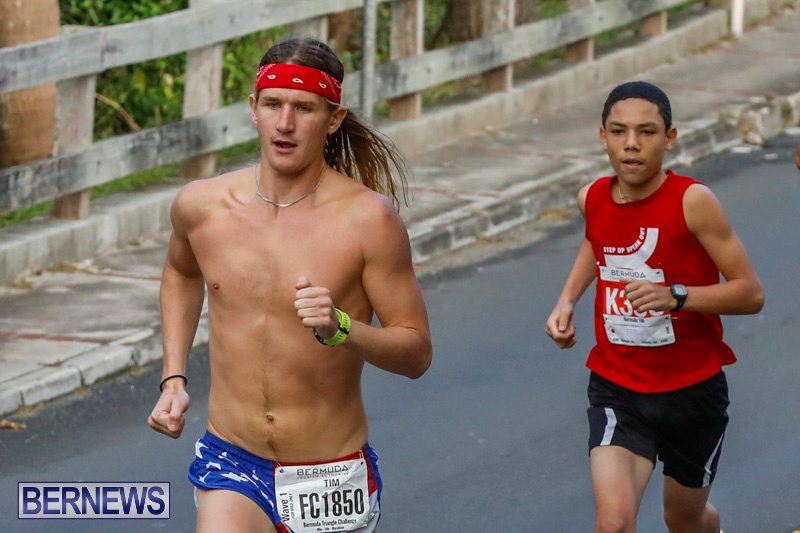 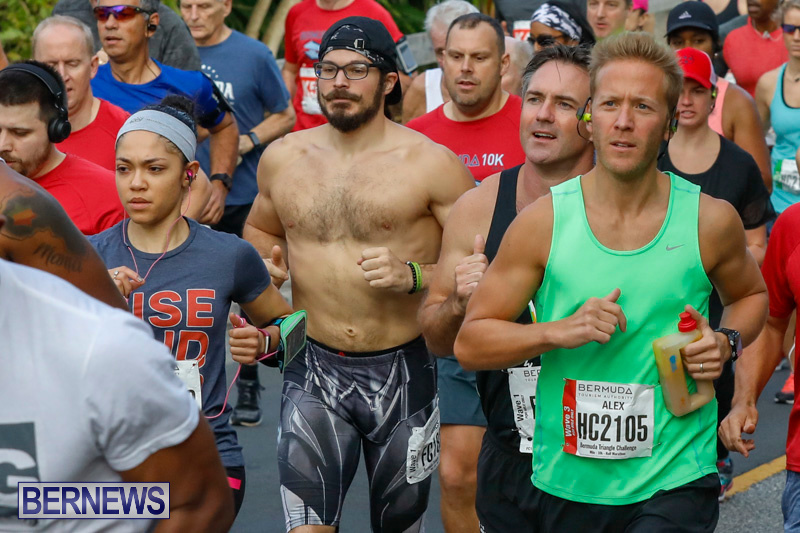 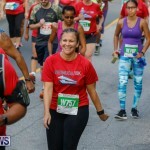 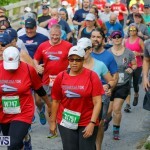 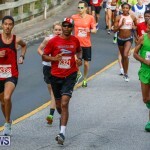 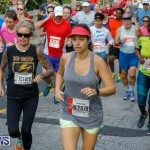 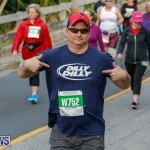 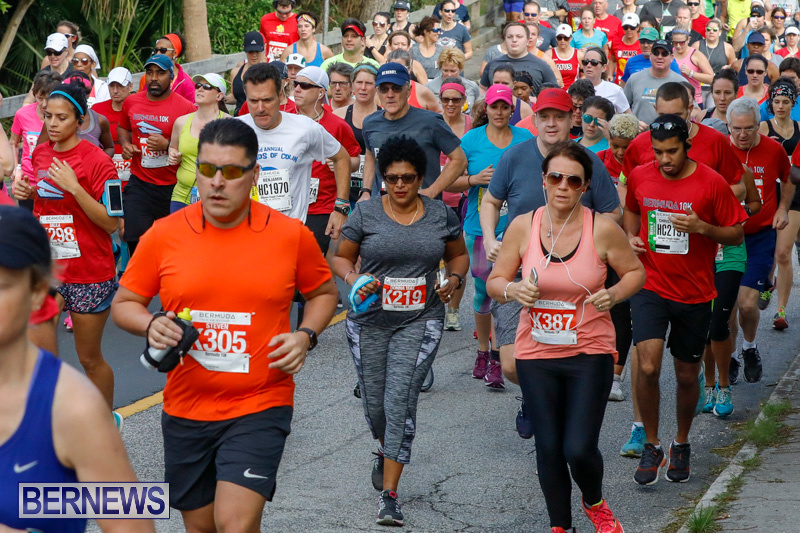 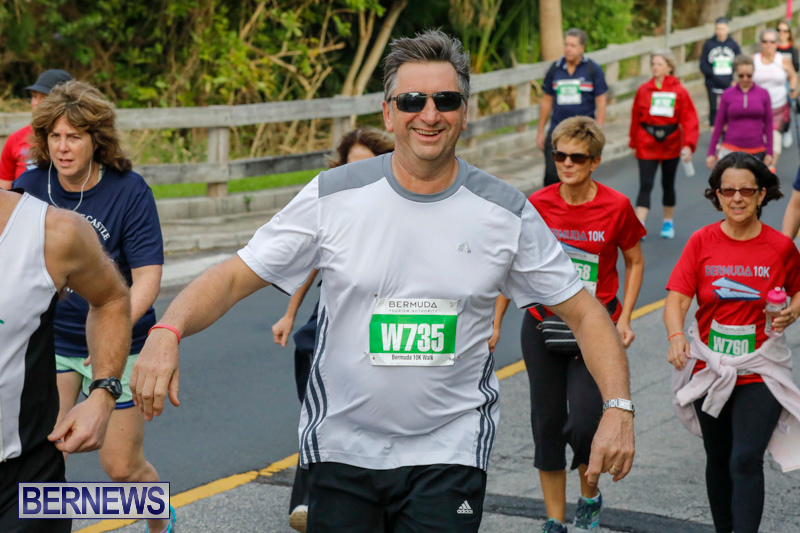 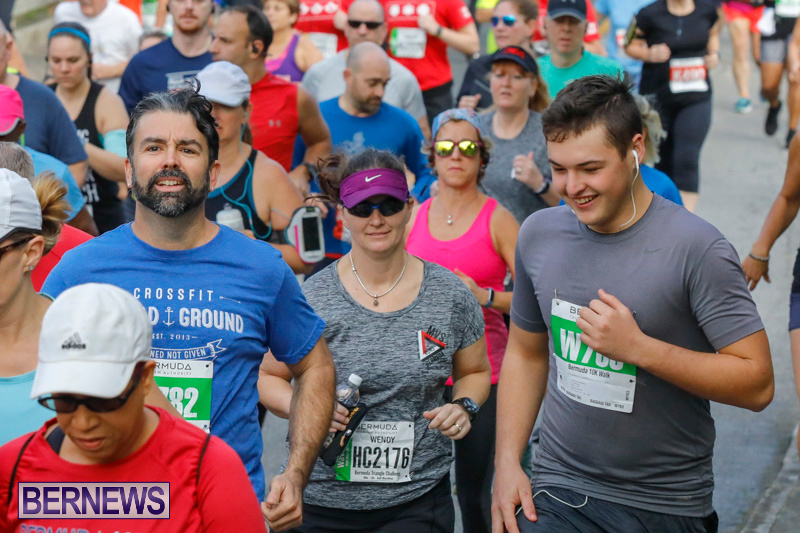 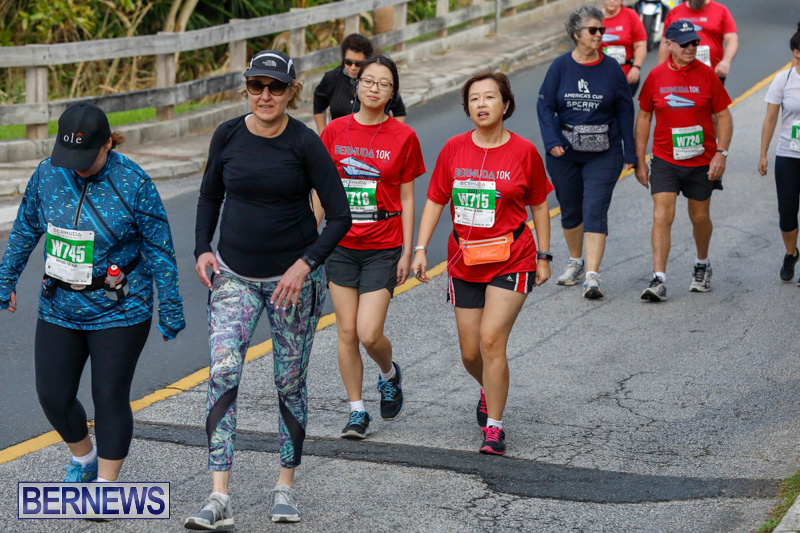 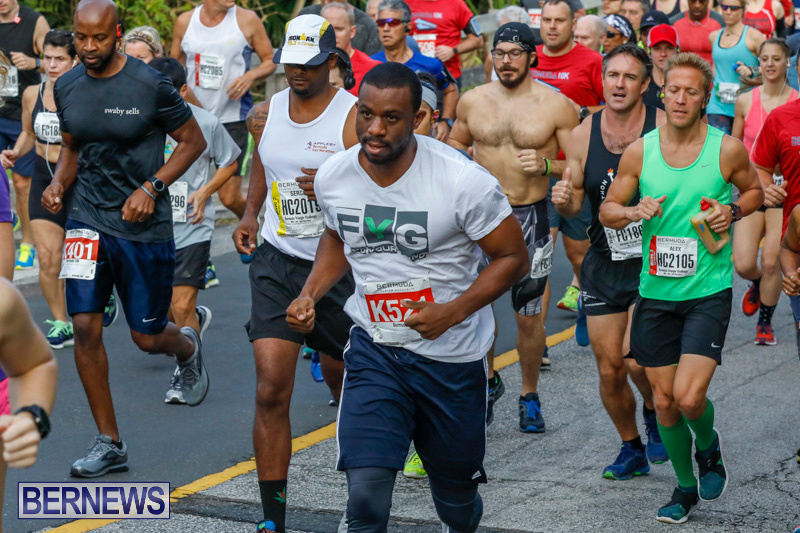 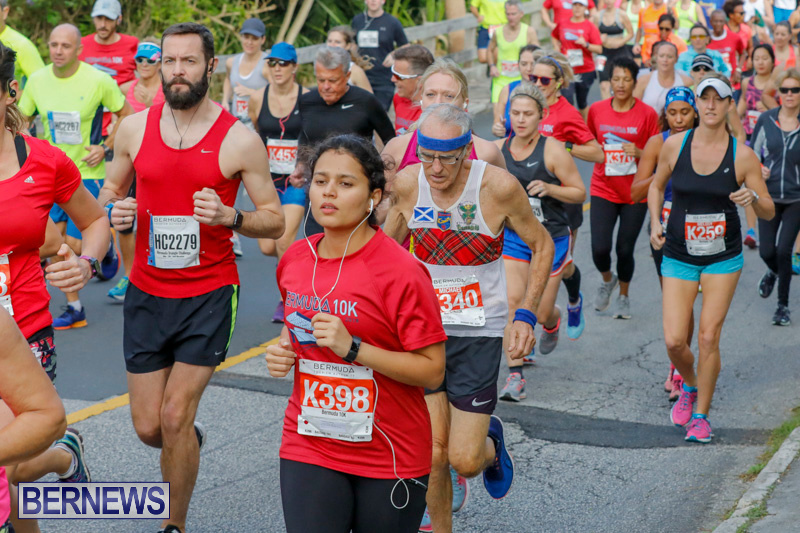 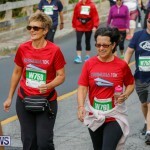 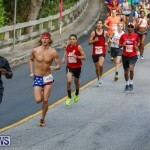 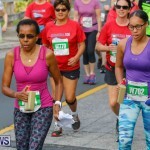 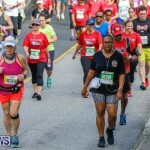 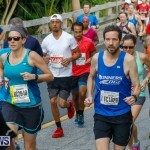 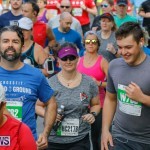 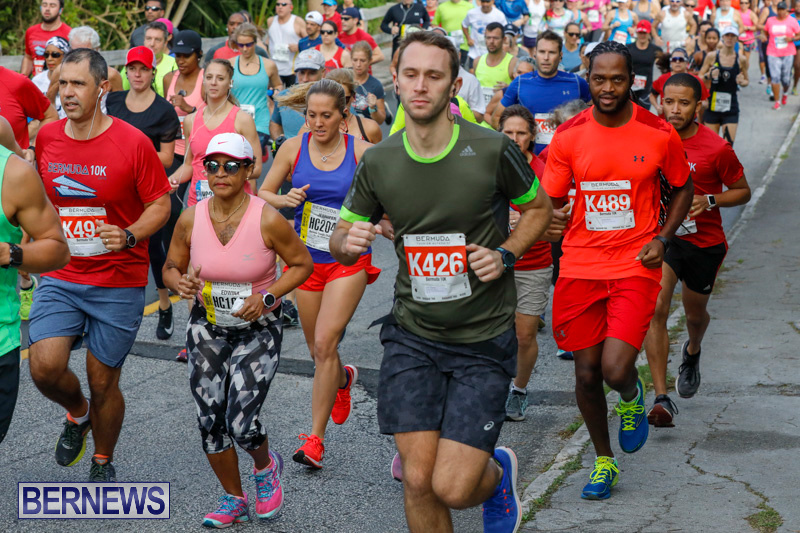 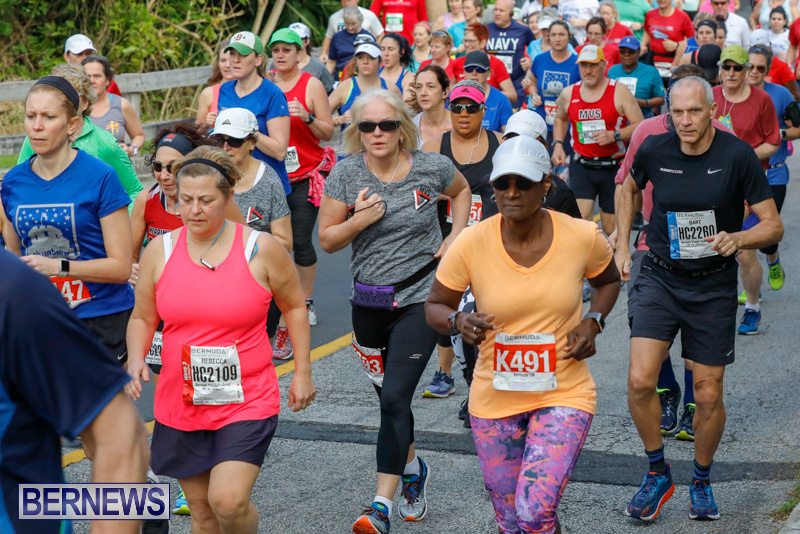 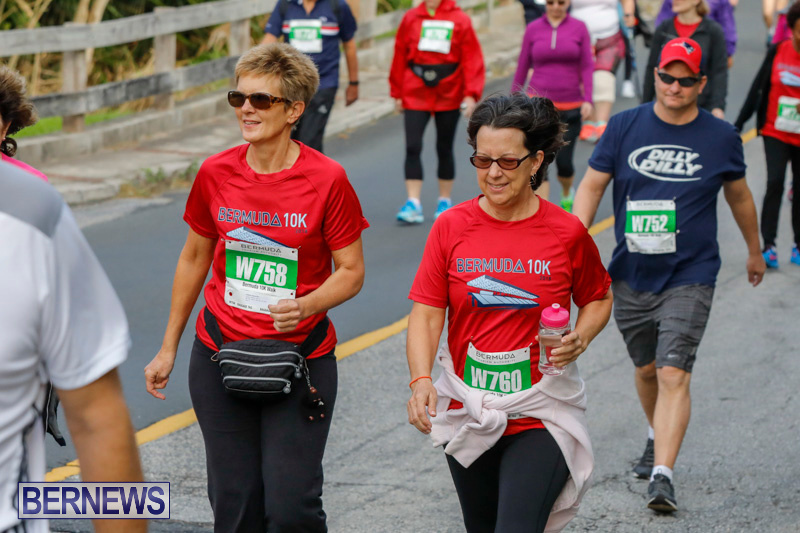 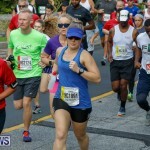 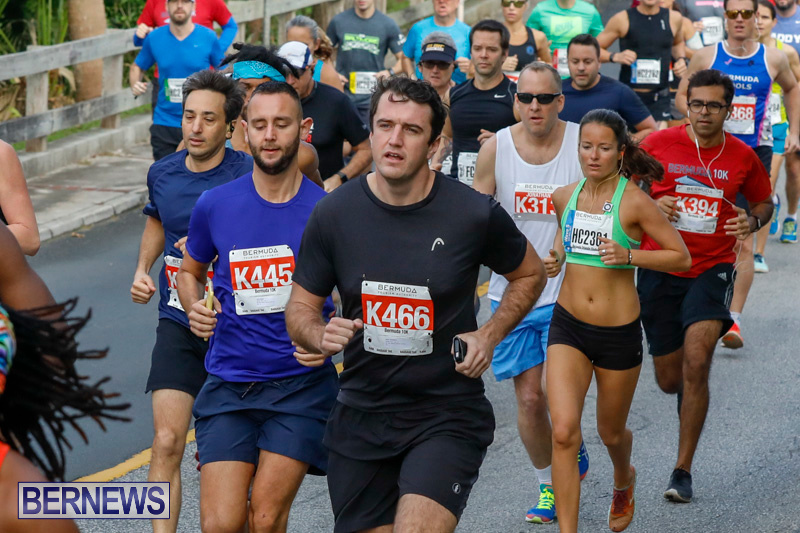 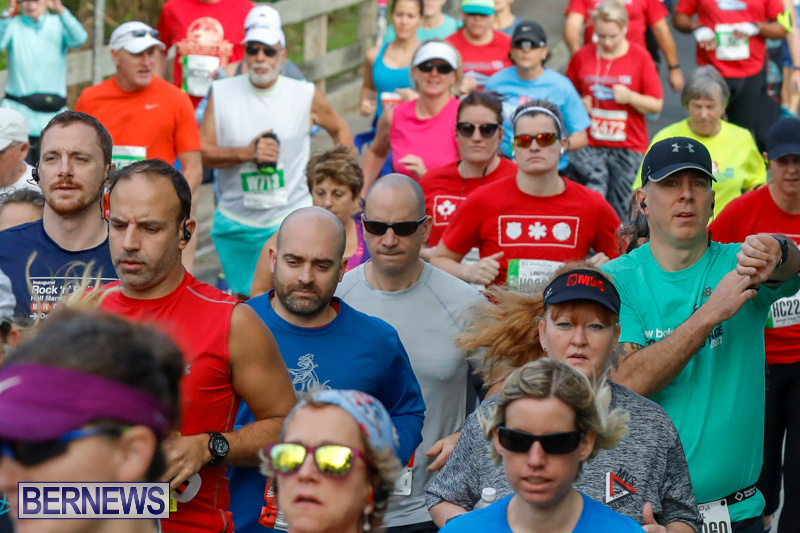 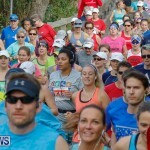 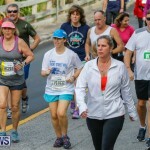 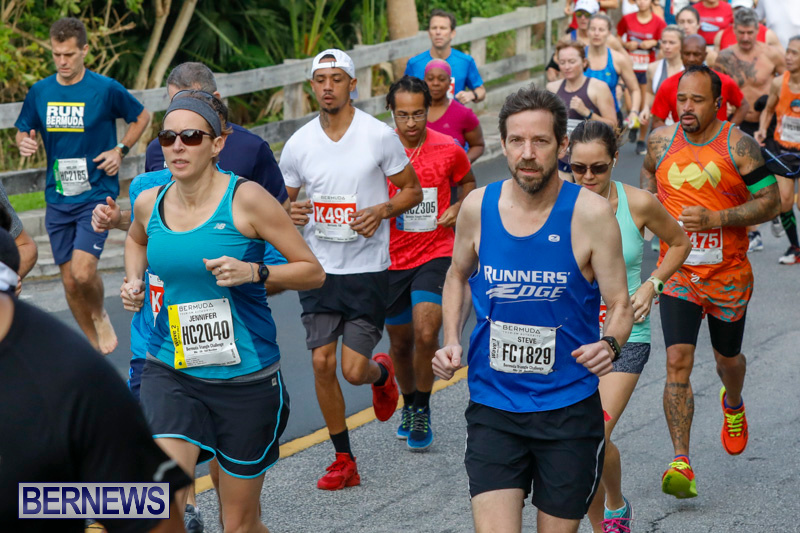 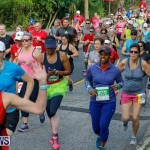 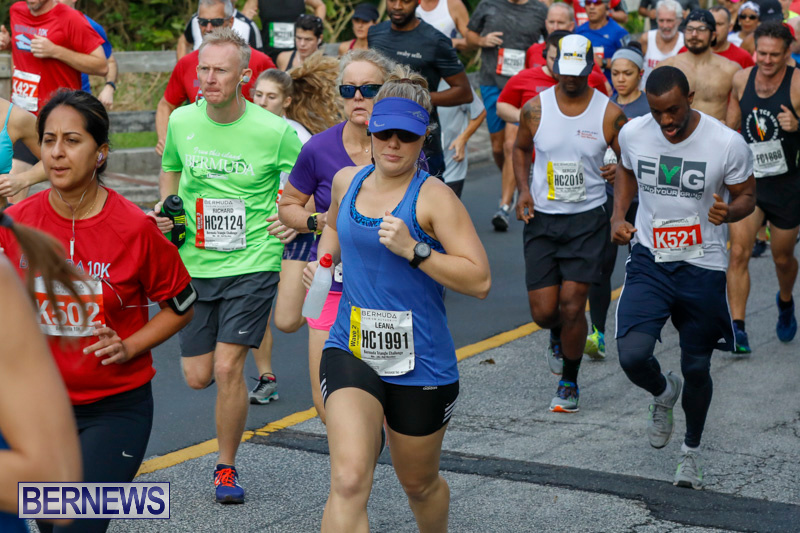 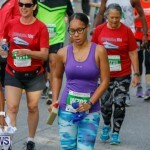 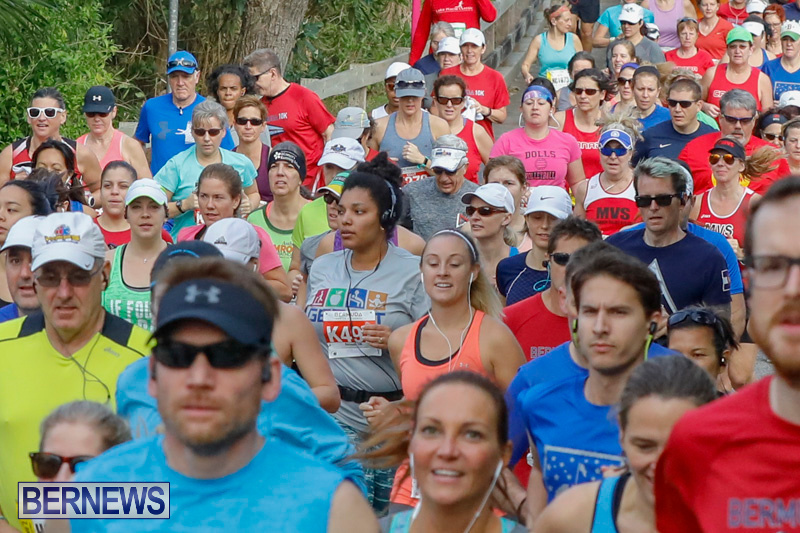 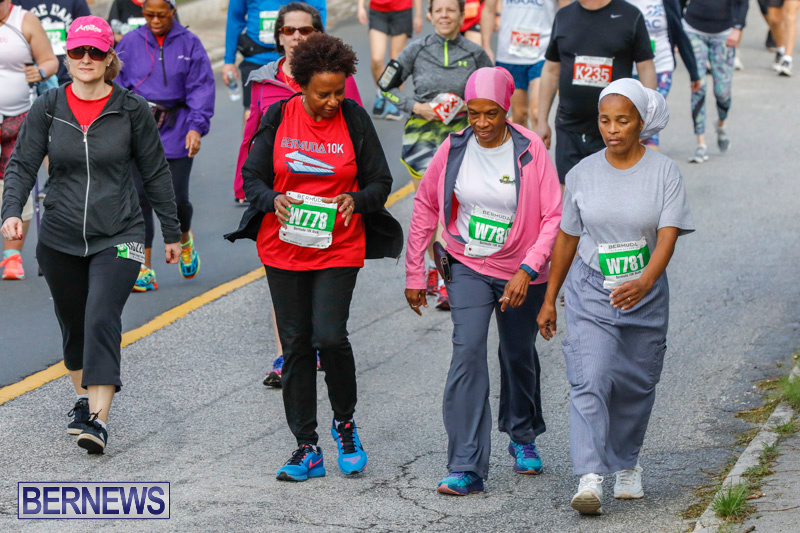 The Race Weekend kicked off last night with the Front Street Mile, and continues tomorrow [Jan 14] with the marathon and half marathon, and you can view all our coverage here. 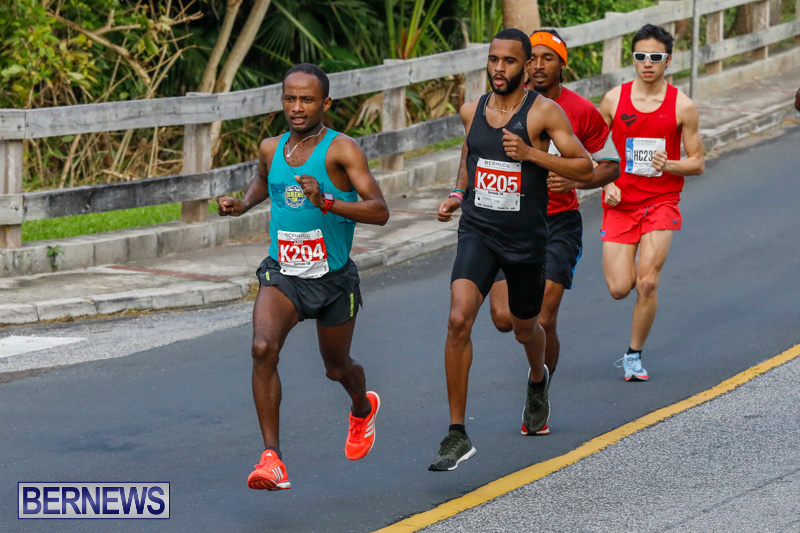 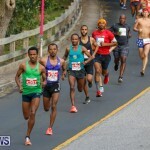 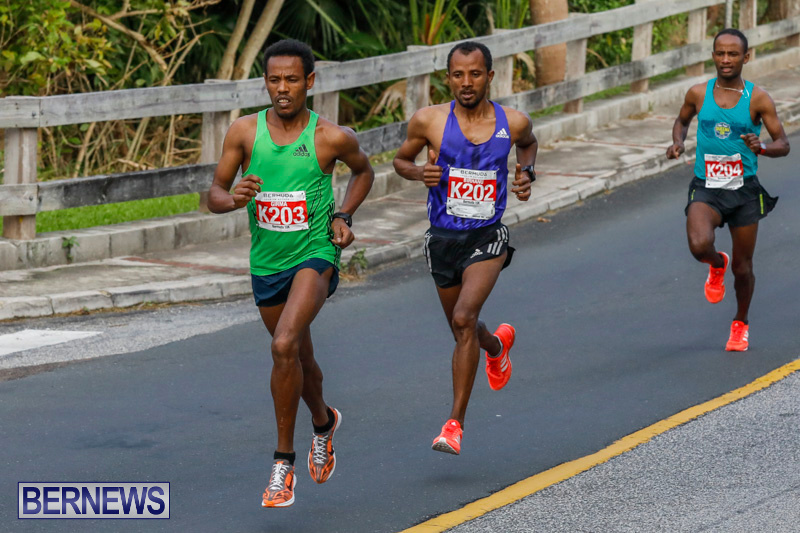 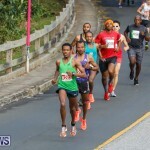 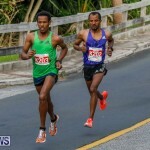 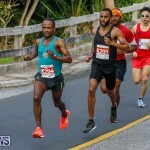 Birhanu Dare Kemal from Ethiopia and Kimarra McDonald from Jamaica are the 2018 Bermuda 10K Male and Female Champions. 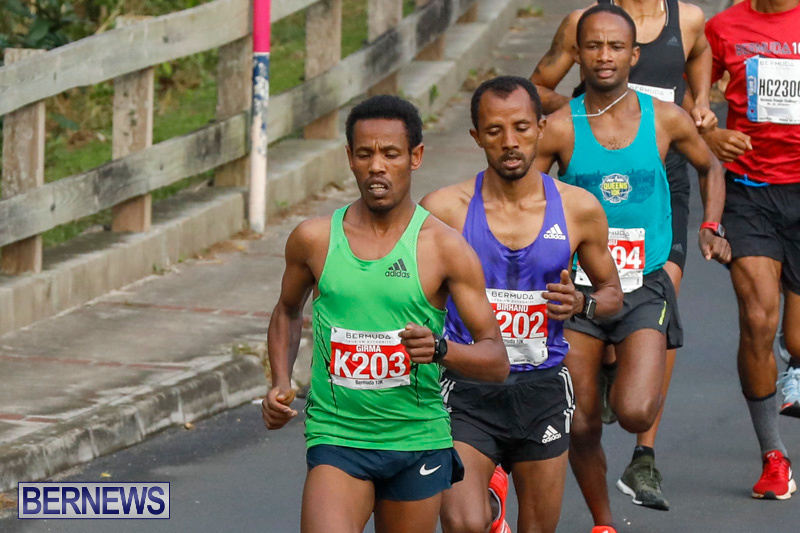 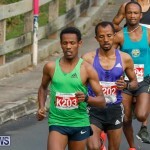 Kemal led home a trio of Ethiopian runners at the National Sports Center clocking 32.00, with Abu Kebede Diriba finishing second in 33:02, and Girma Bekele Gebre finishing third in 34:17. 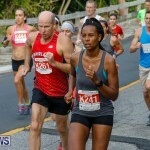 McDonald crossed the line 13th overall clocking a time of 40:07, with her training partner and Front Street Mile Elite Female winner Angel Piccirillo the second female finisher and 15th overall clocking 40:28, and Dara Filut was the third female finisher and 33rd overall stopping the clock in a time of 43.19. 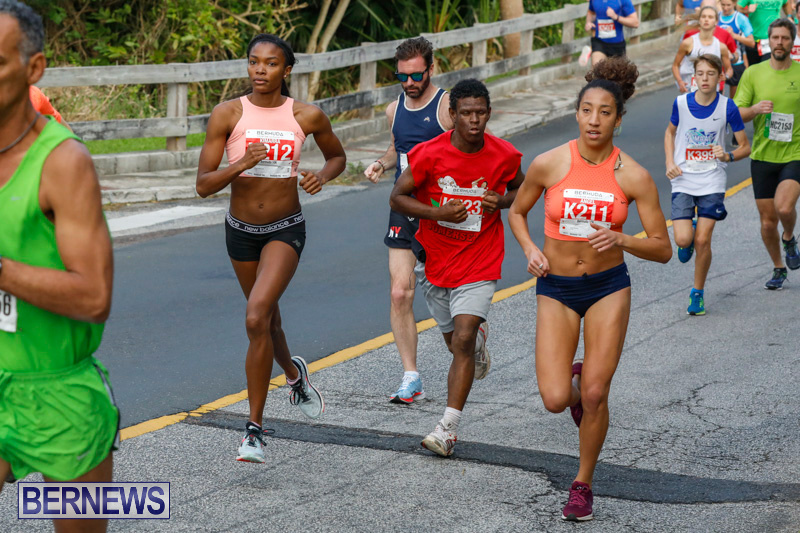 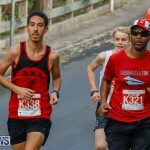 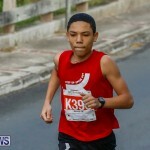 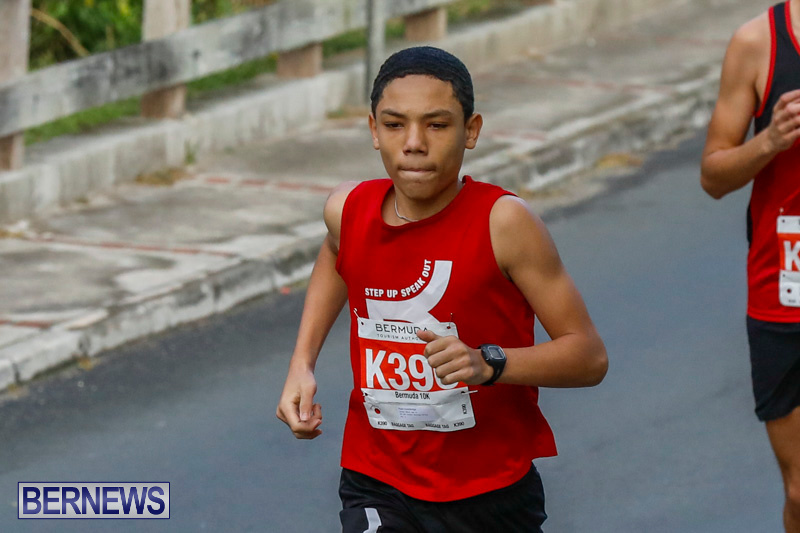 Chayce Smith was the first local male runner in a time of 35:05 which saw him finish 4th overall, meanwhile Martina Olcheski-Bell was the first local female runner finishing 34th overall with a time of 43.26. 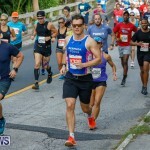 Funny how many people run up and down Front Street /East Broadway daily, with so many vehicles spewing exhaust fumes, I guess being seen overrides the ill effects of carbon monoxide and brake dust poisoning.